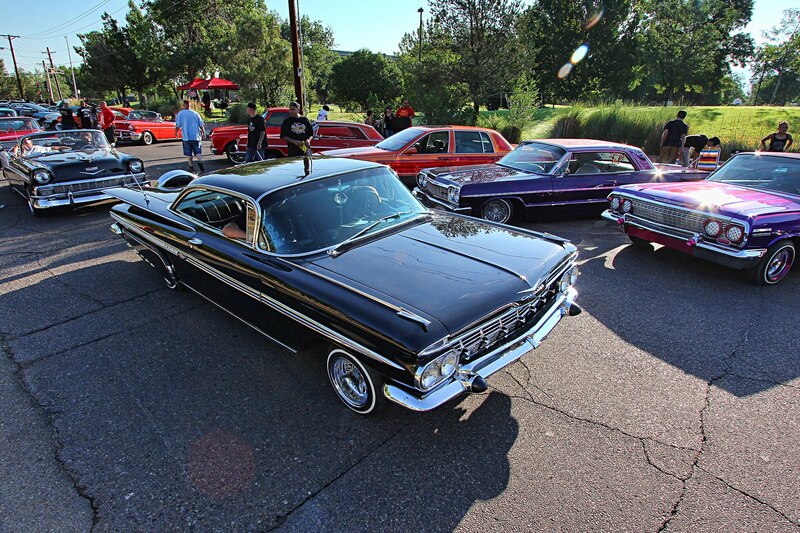 On July 28, Artemis Promotions hosted the third stop of the Quaker State Meat Up series, and the location was historic, to say the least. 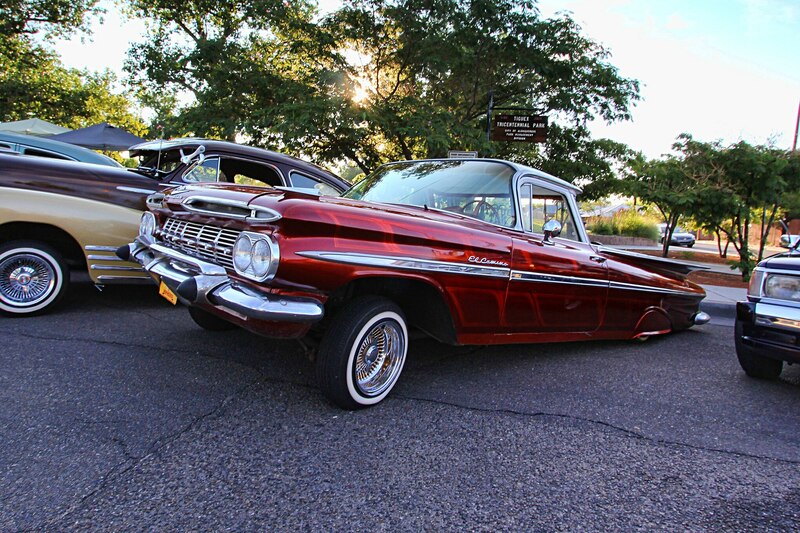 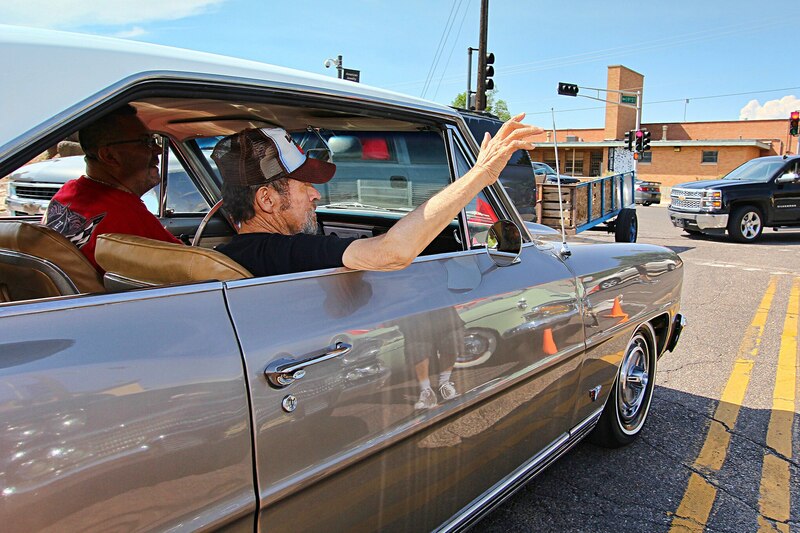 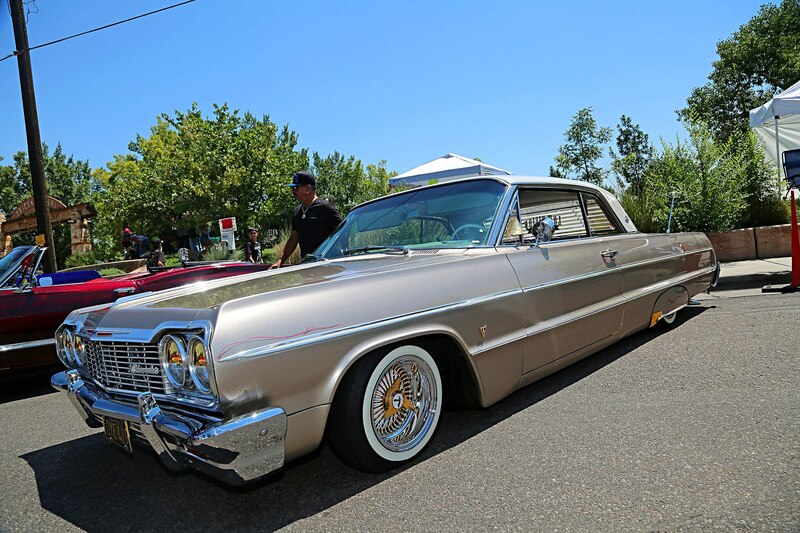 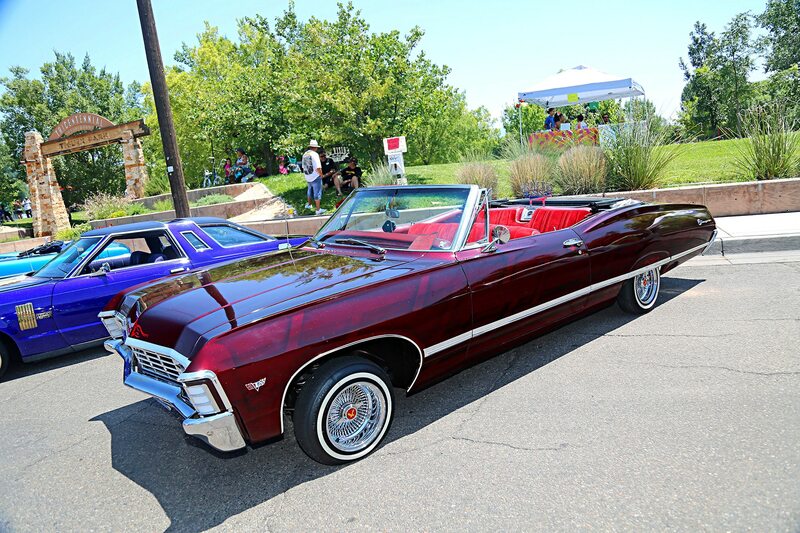 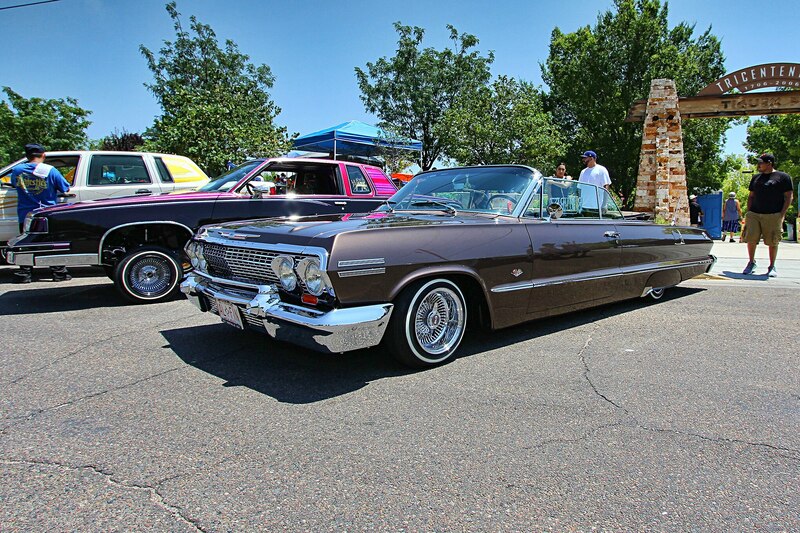 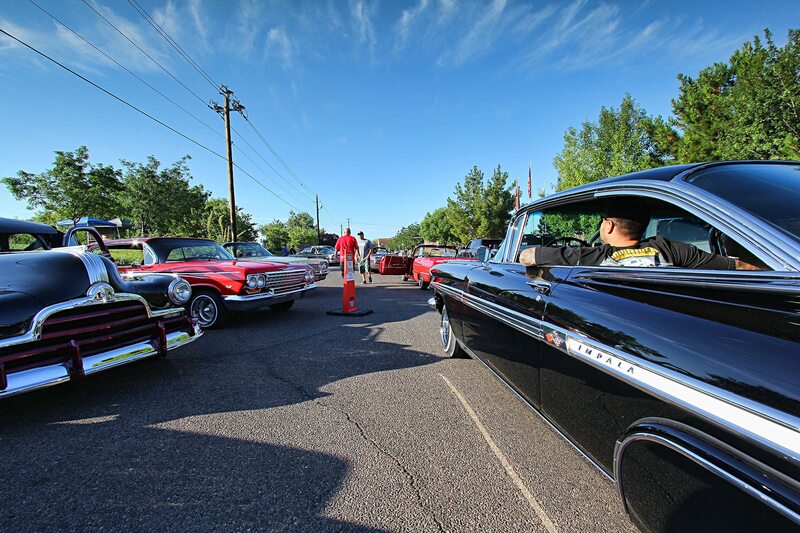 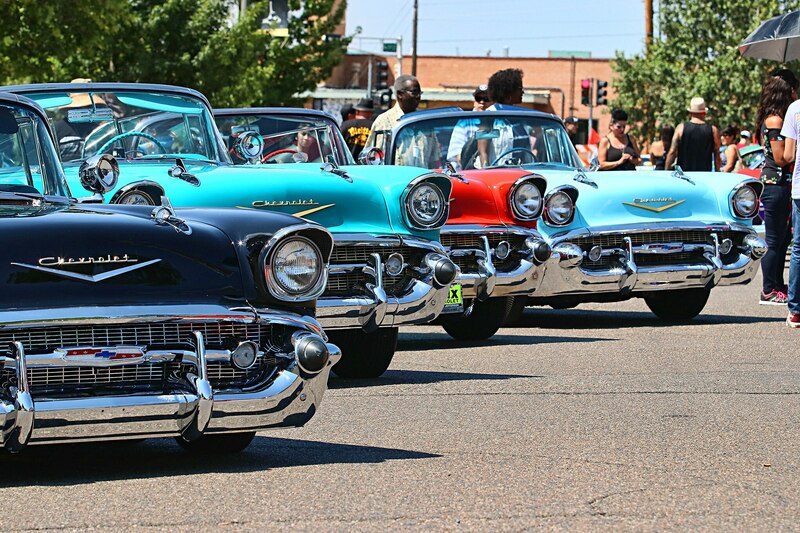 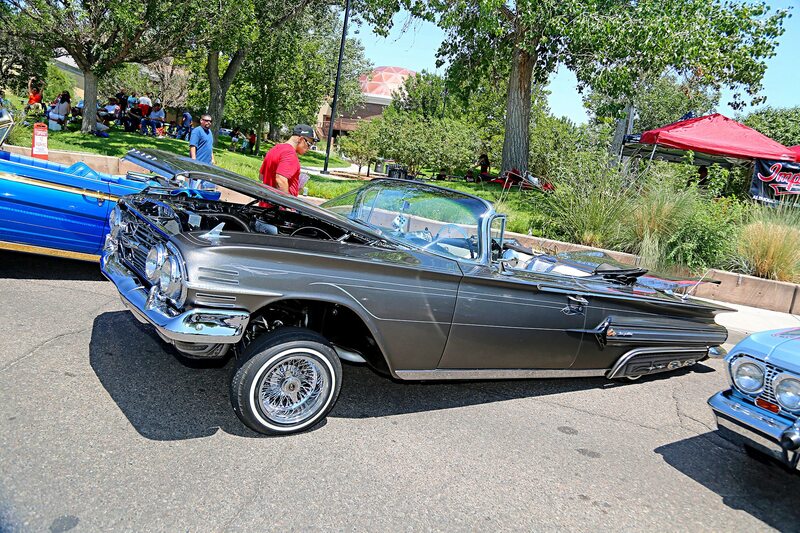 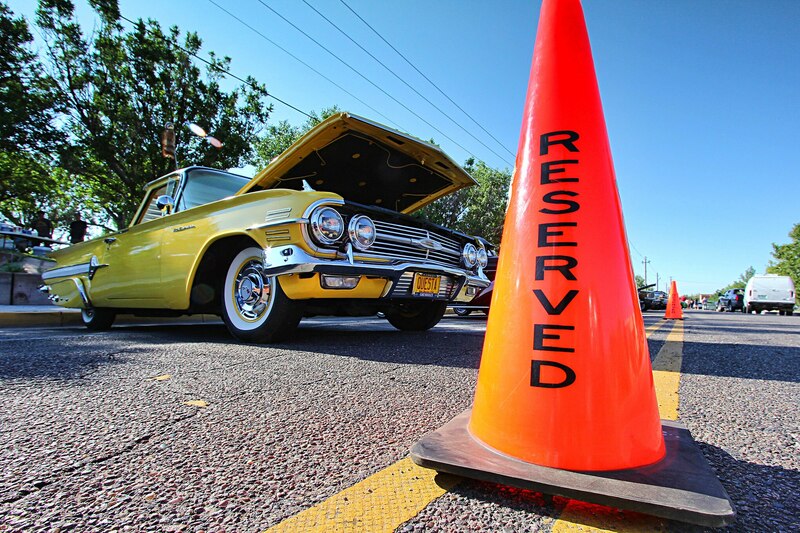 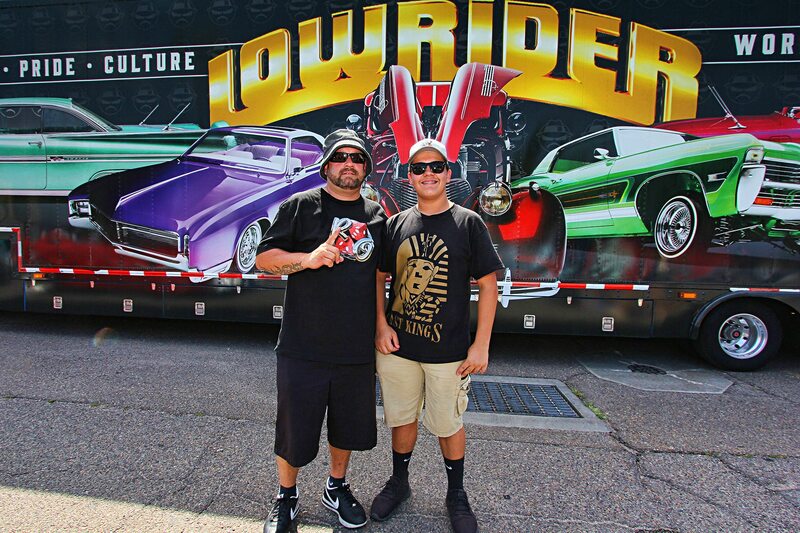 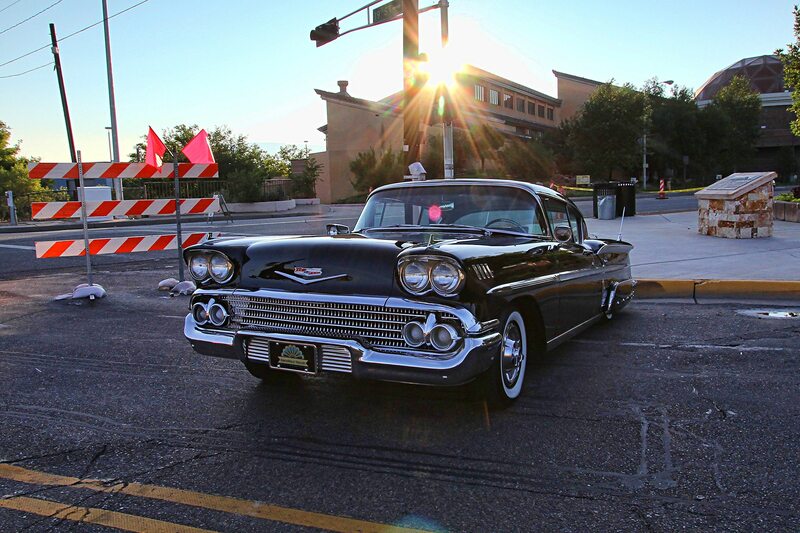 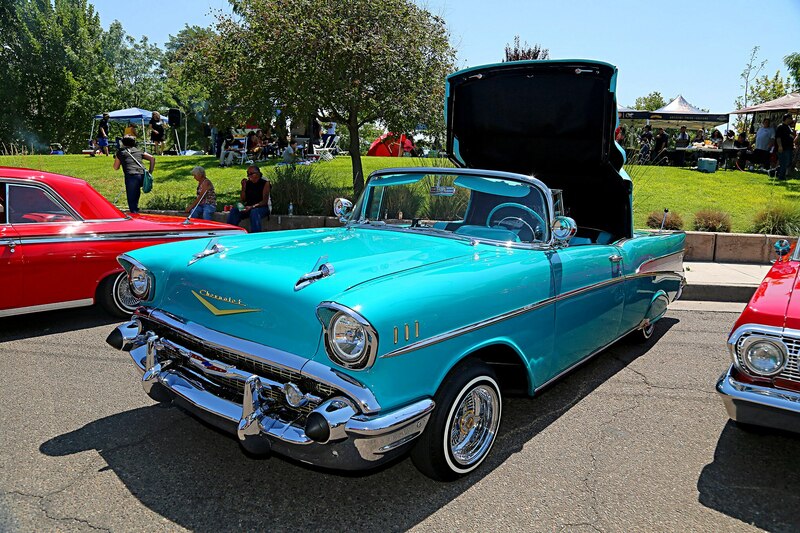 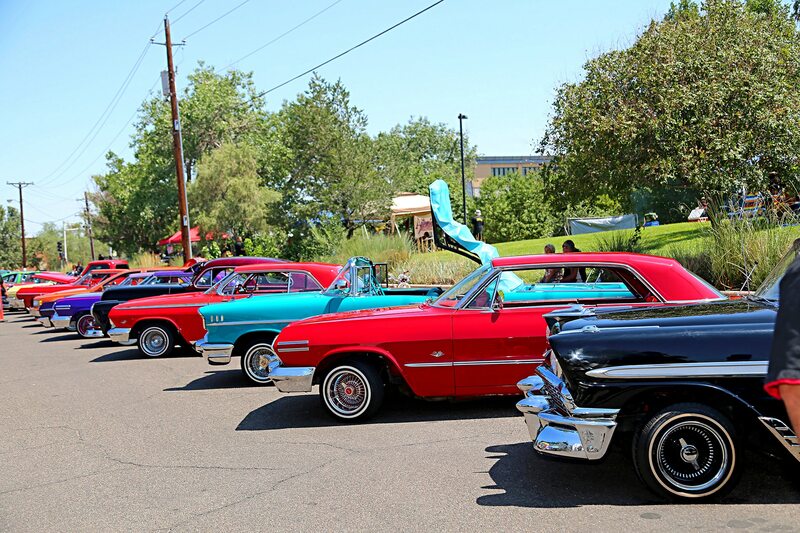 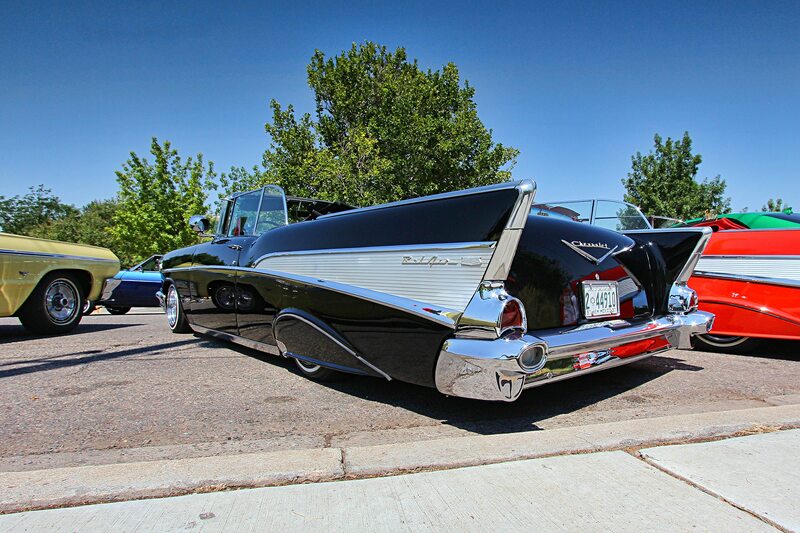 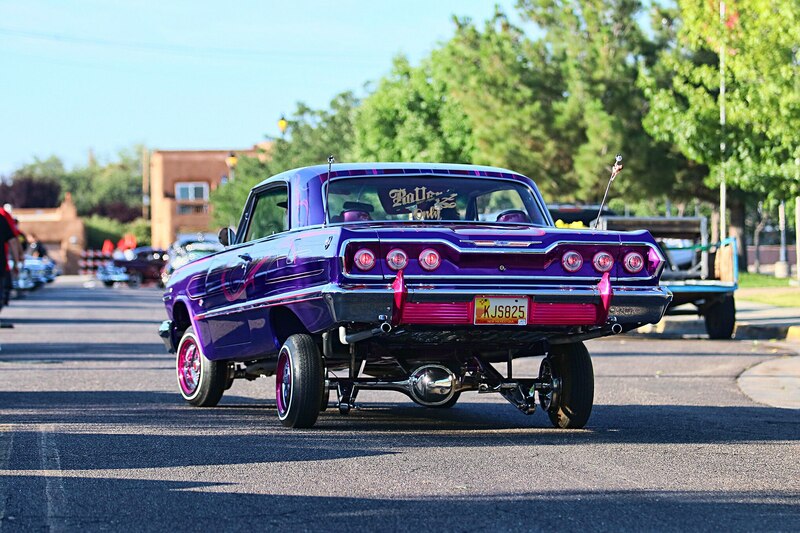 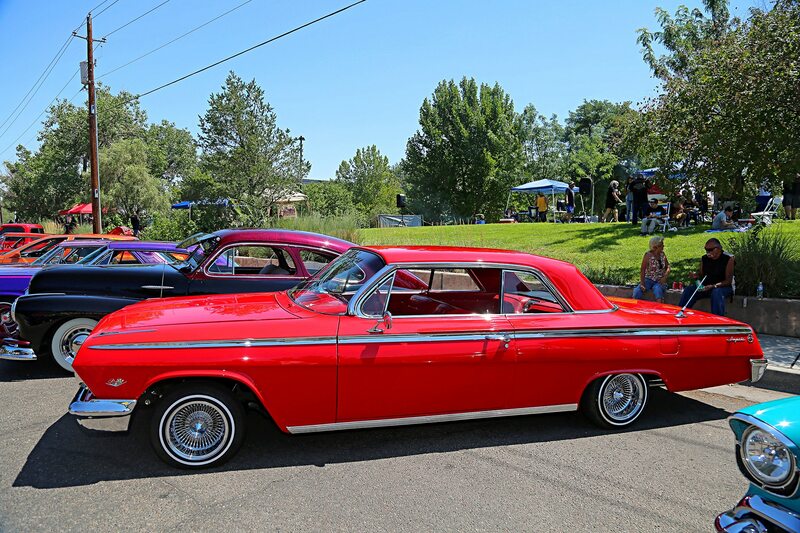 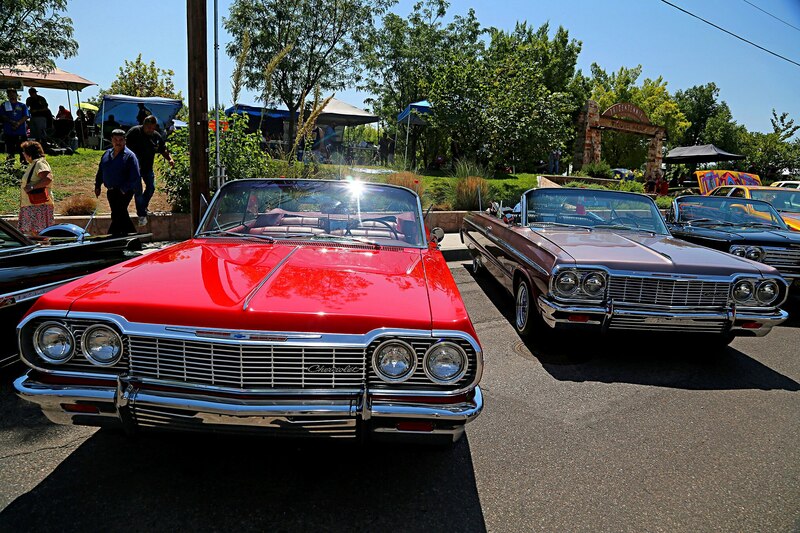 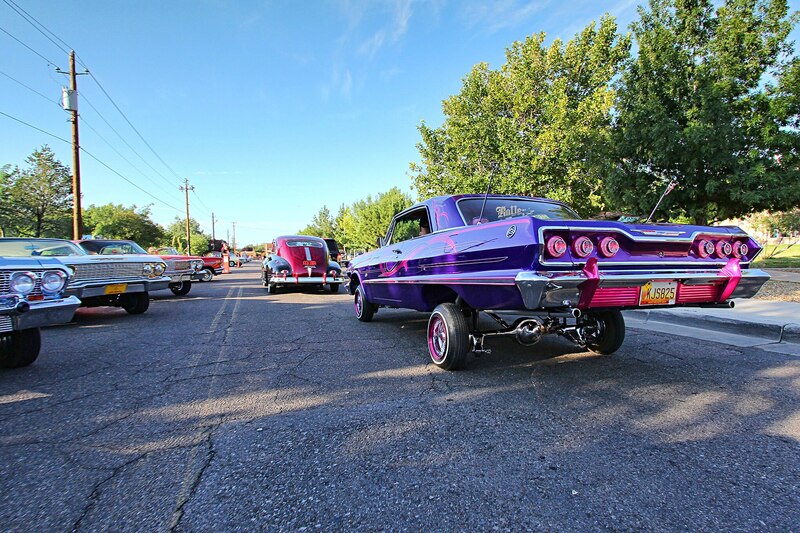 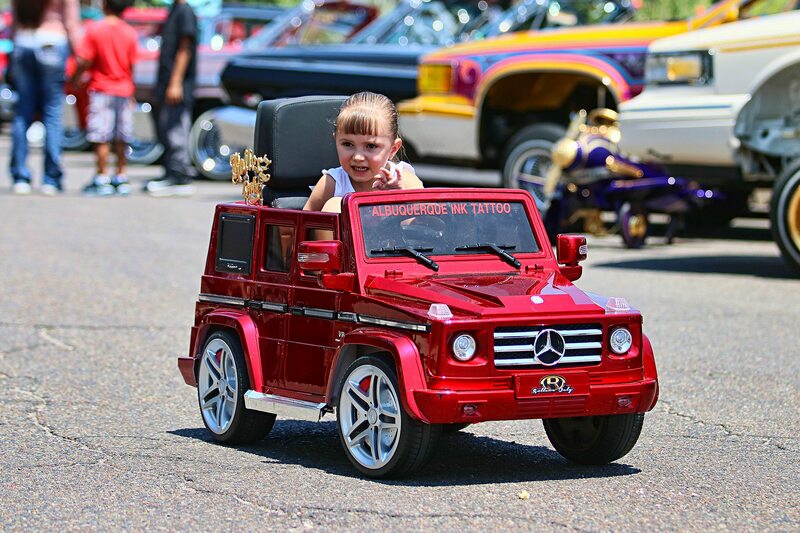 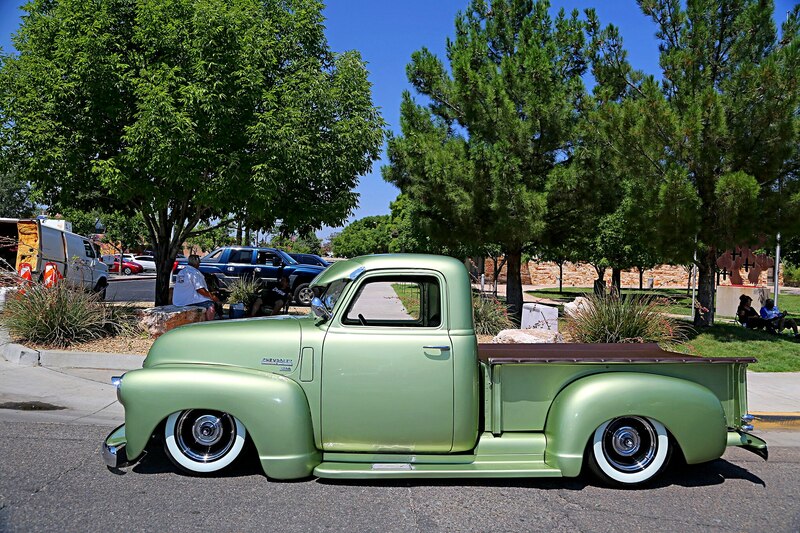 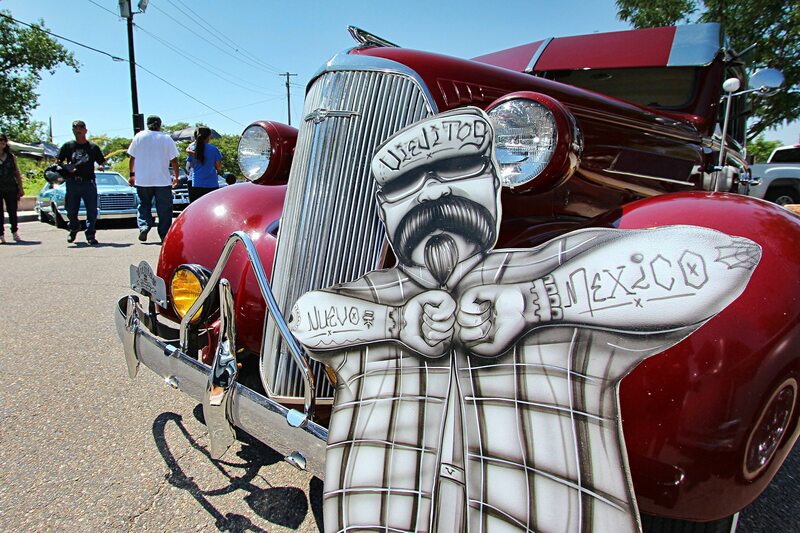 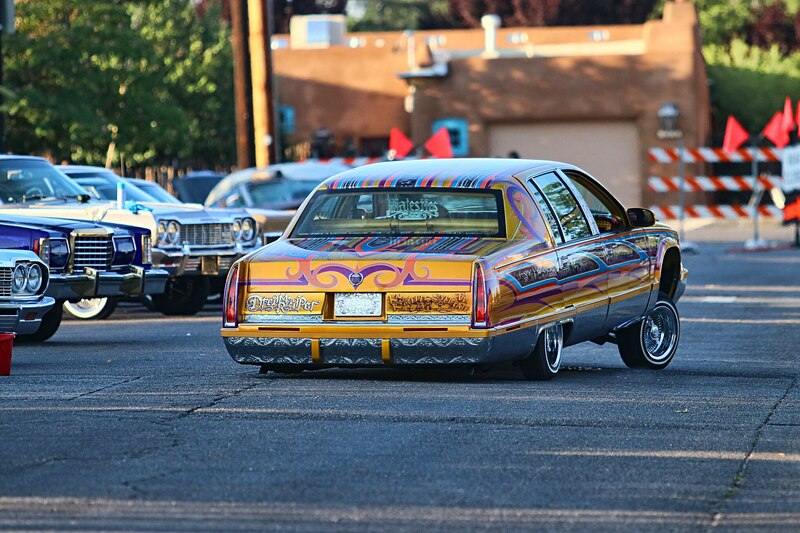 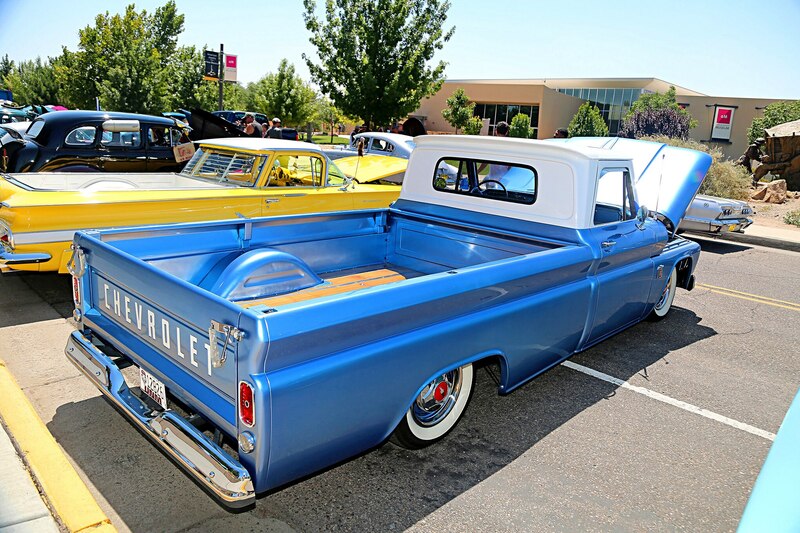 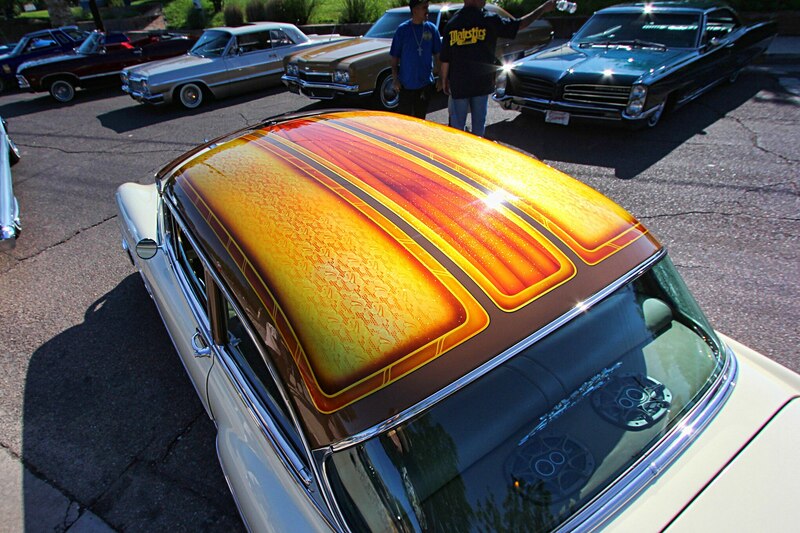 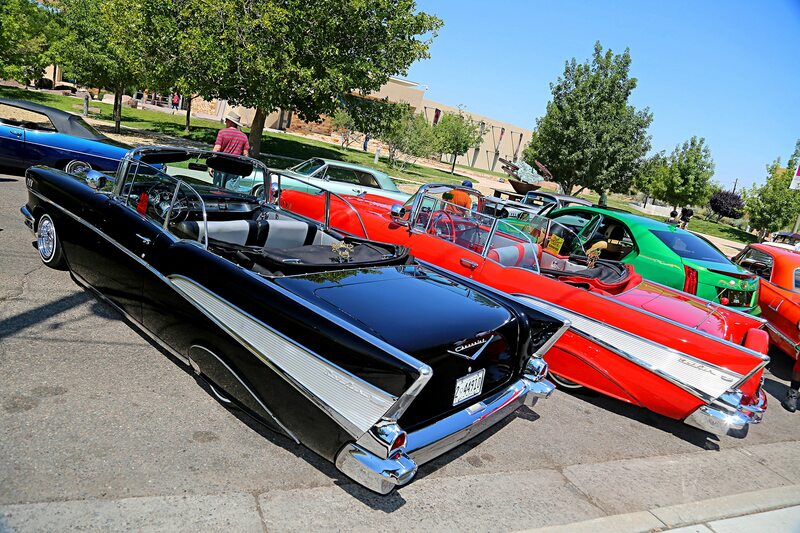 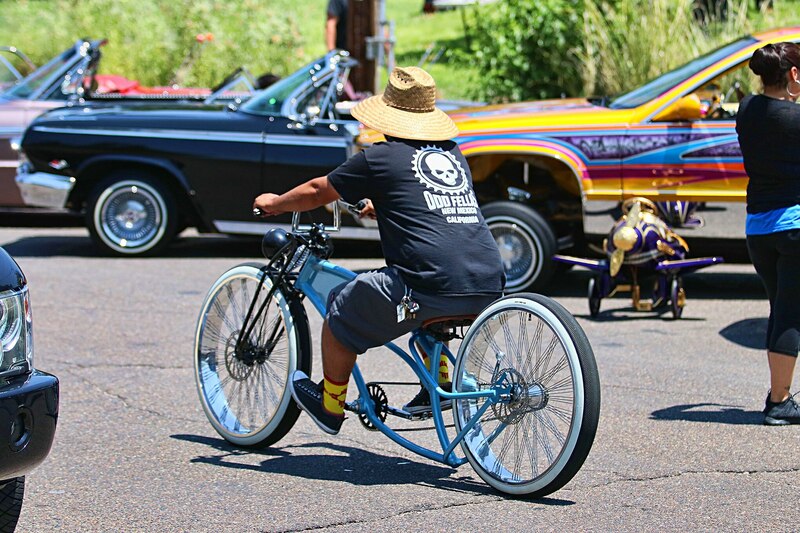 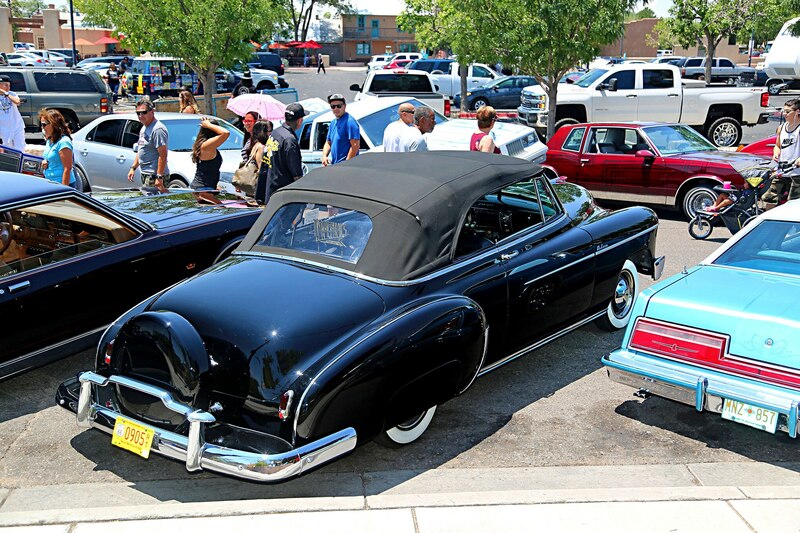 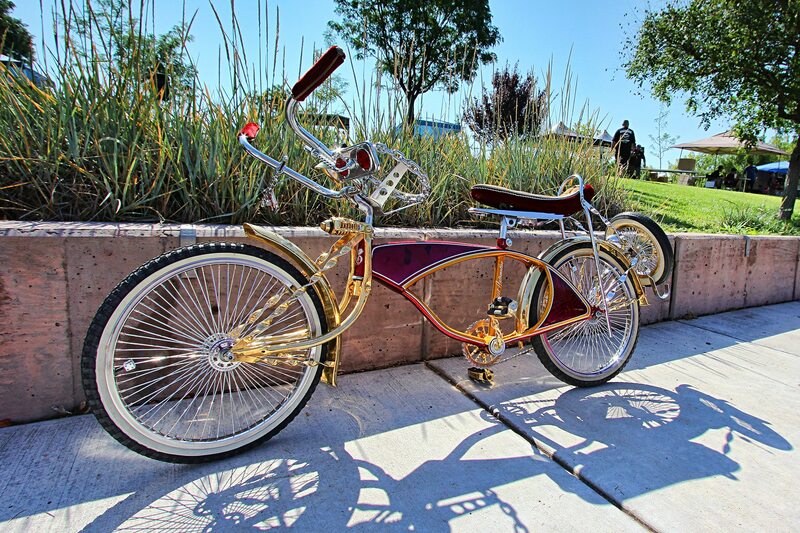 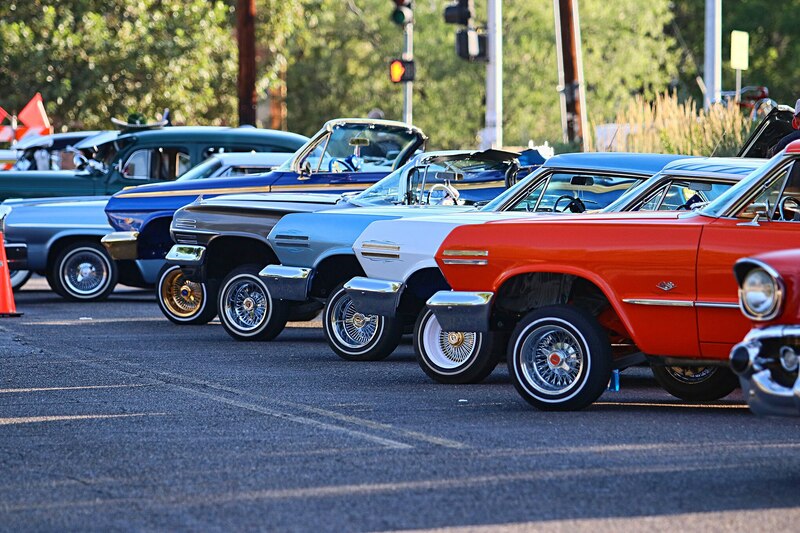 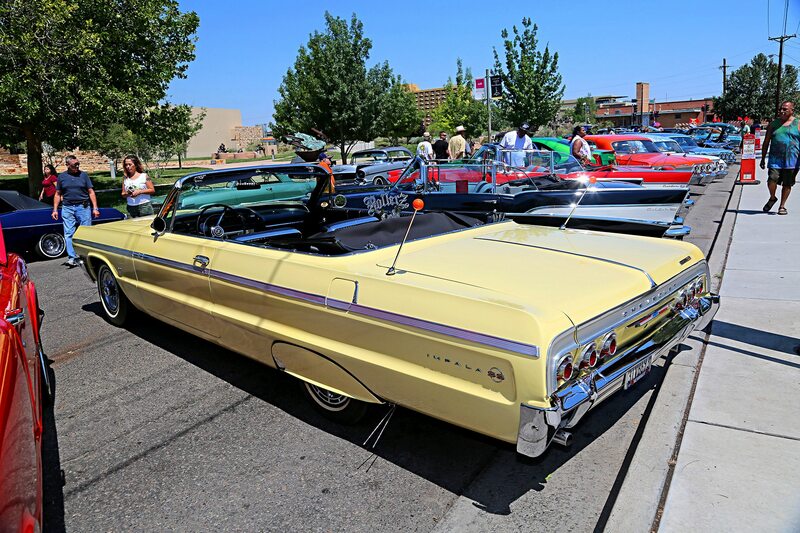 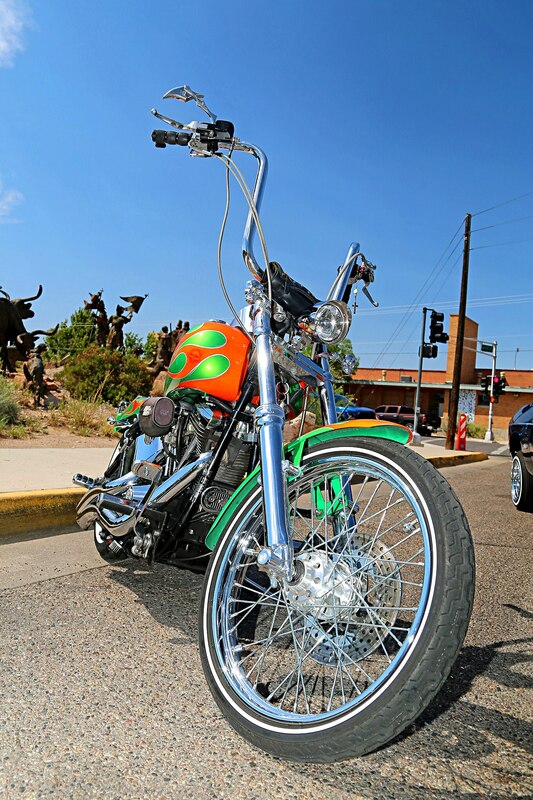 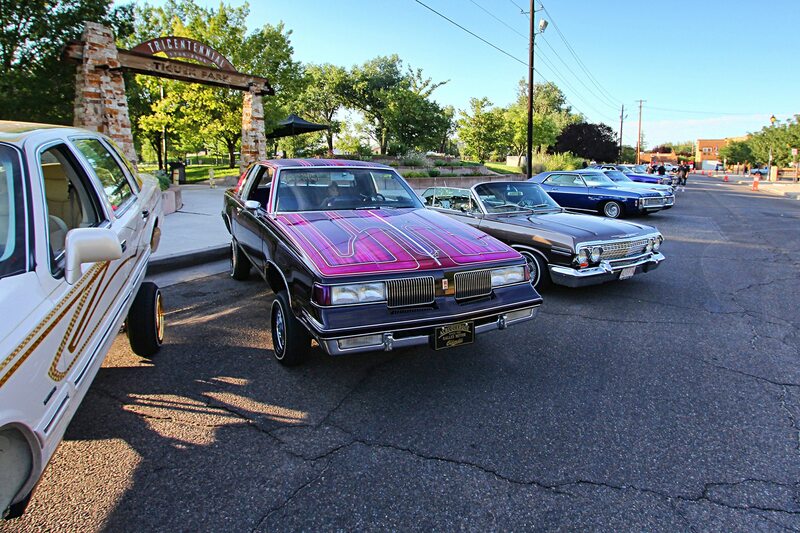 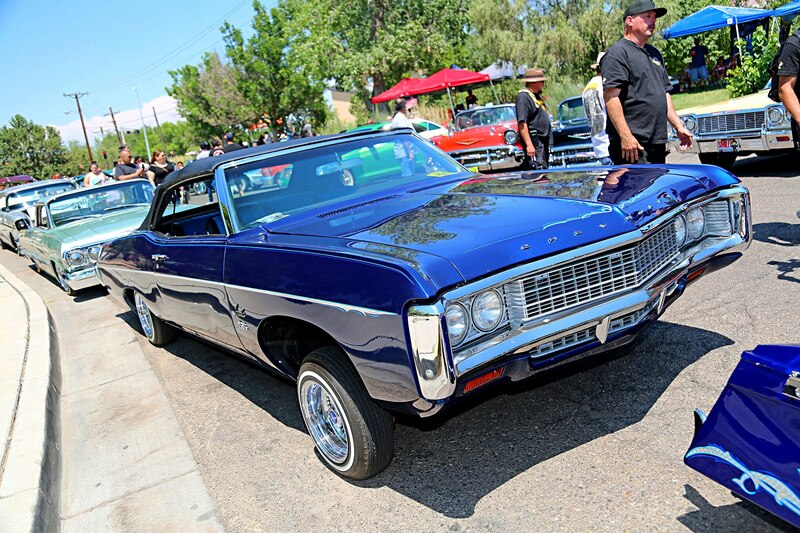 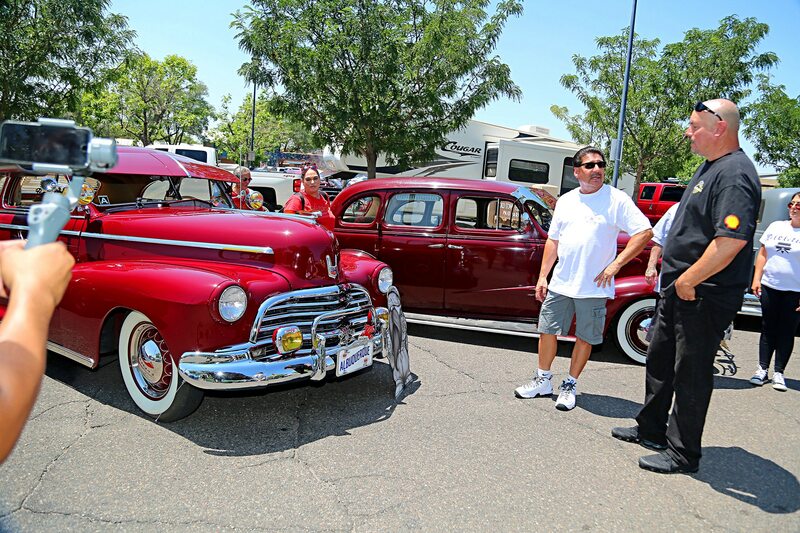 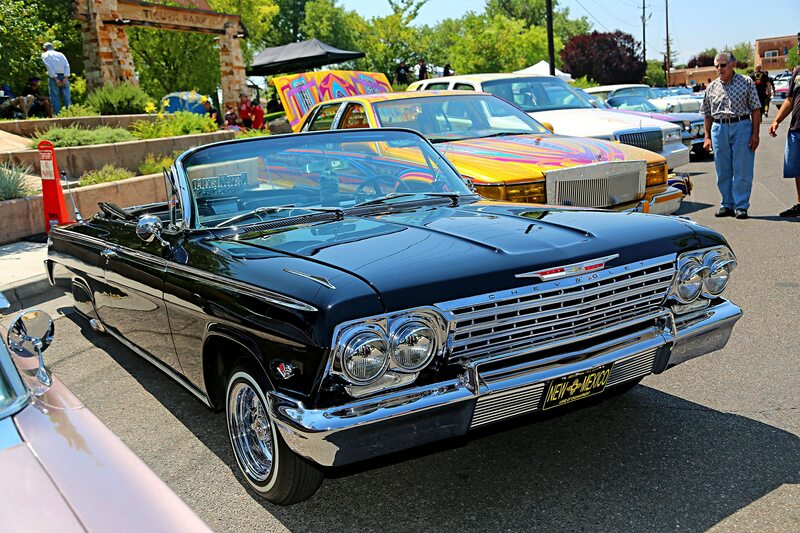 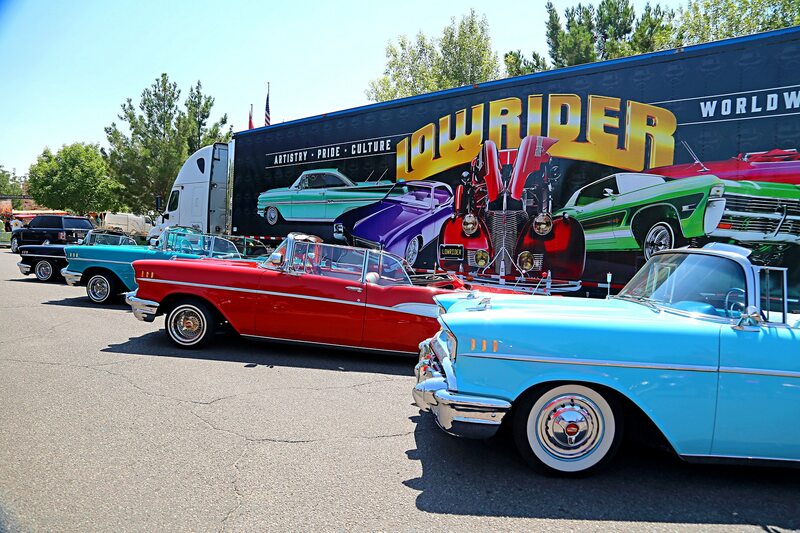 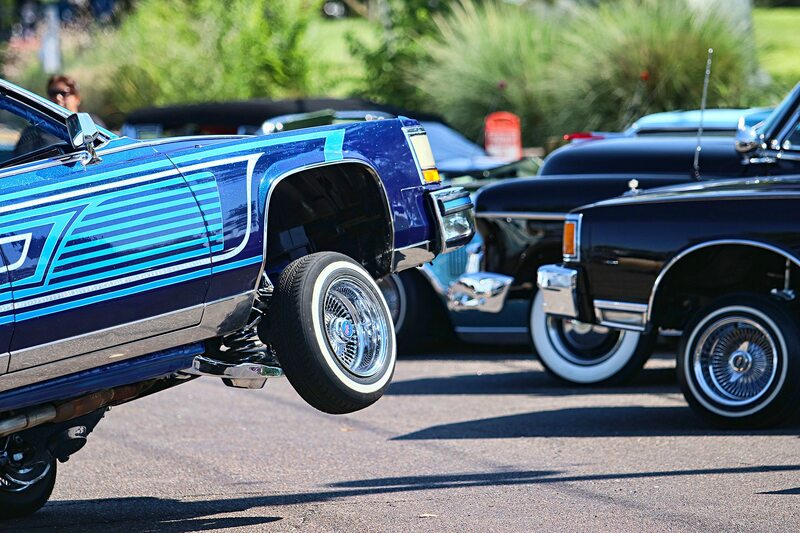 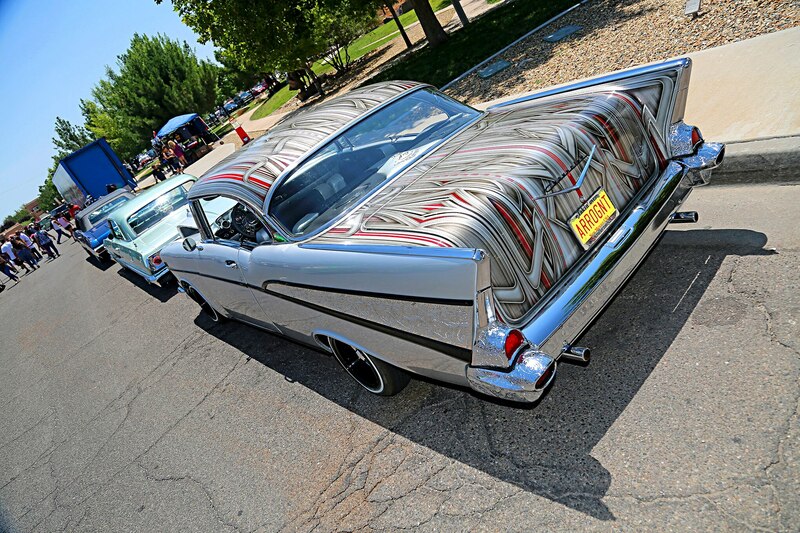 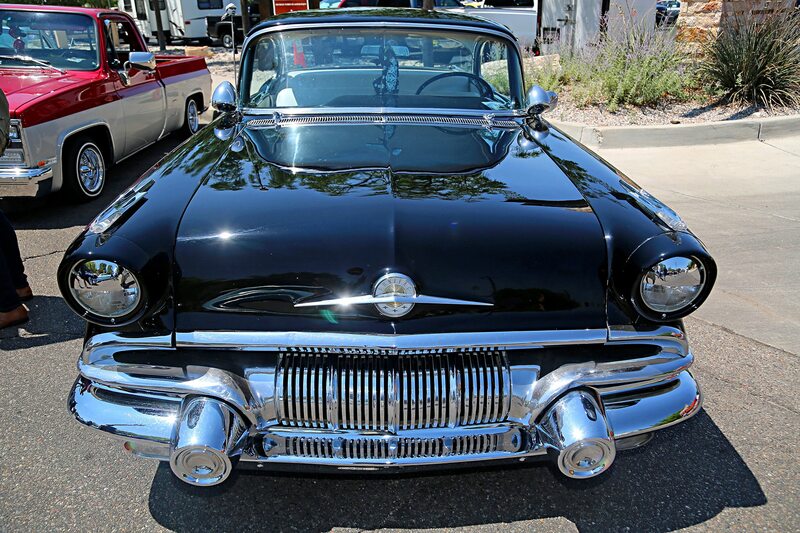 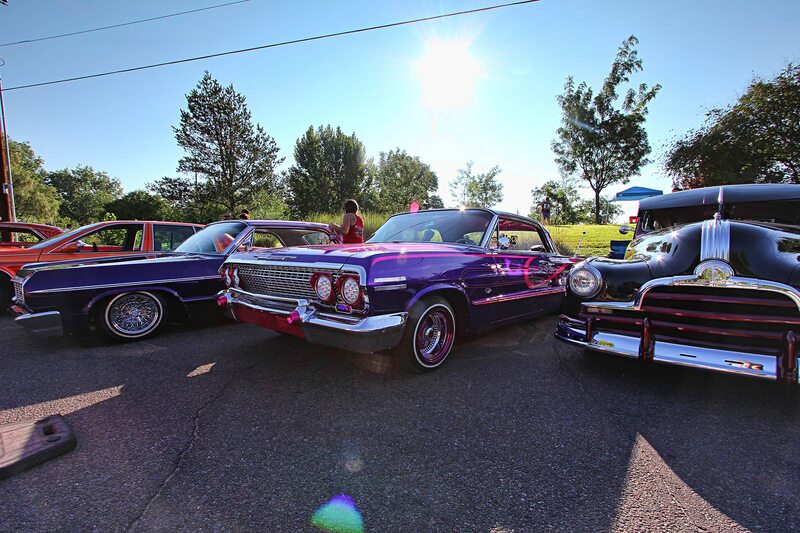 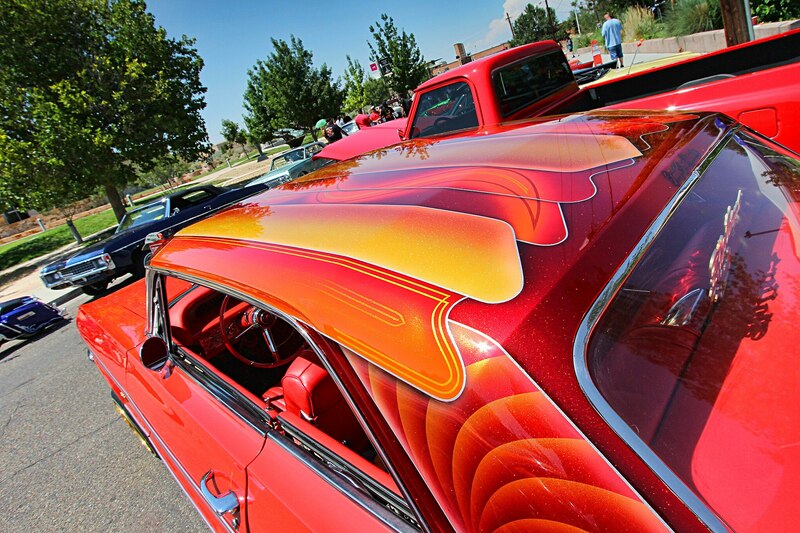 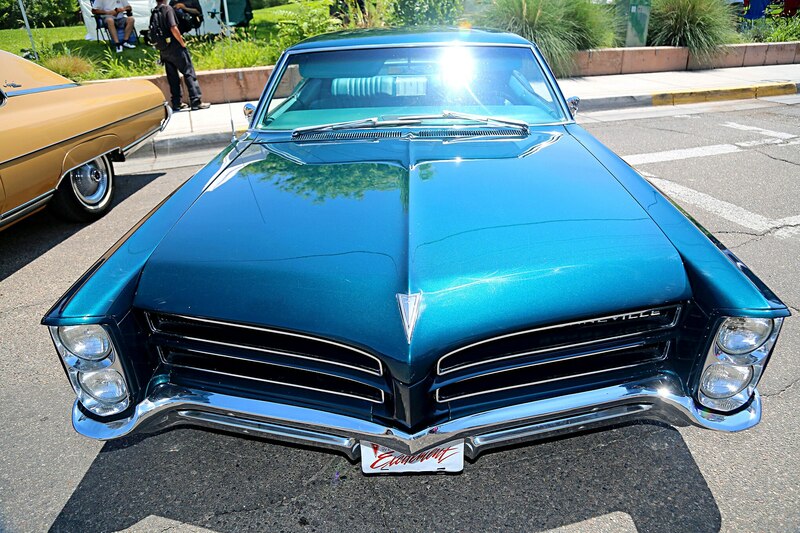 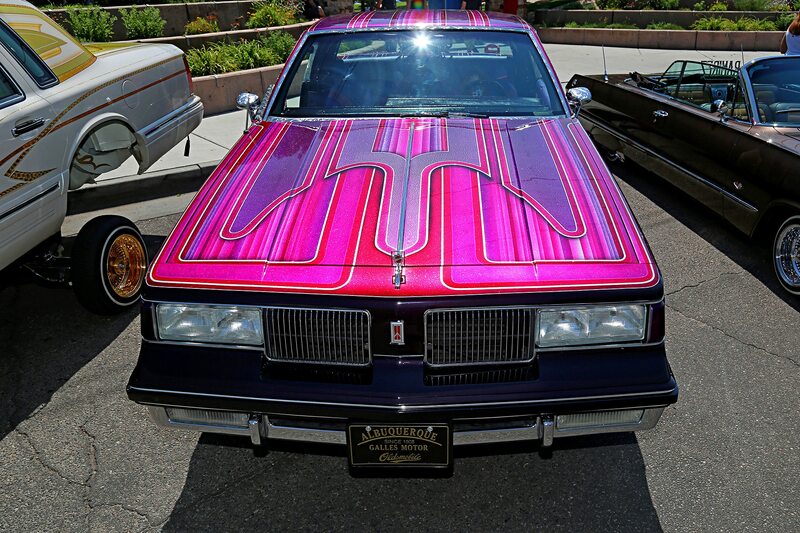 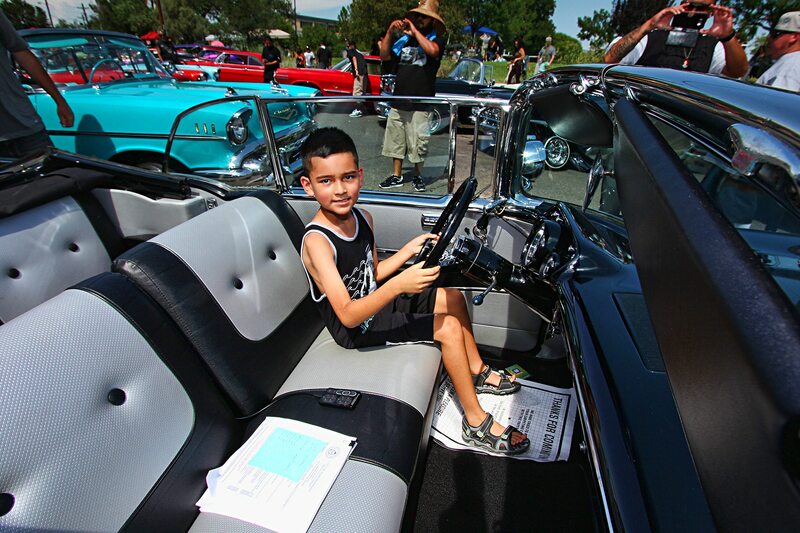 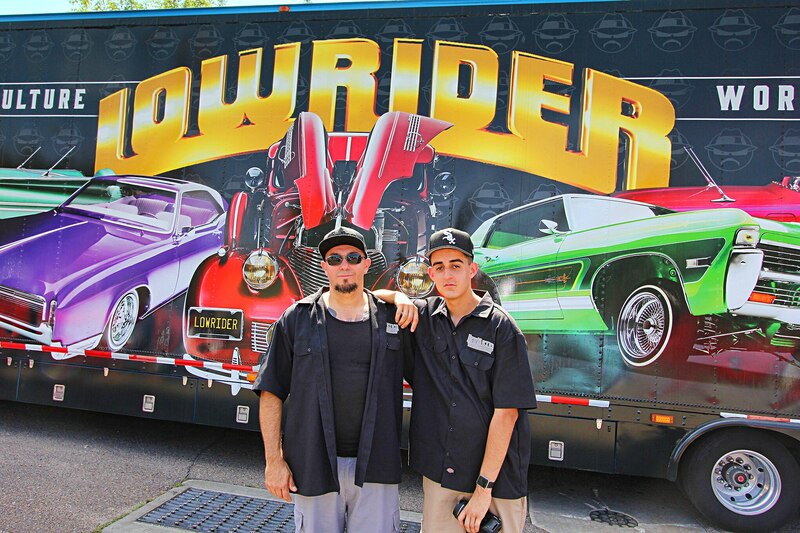 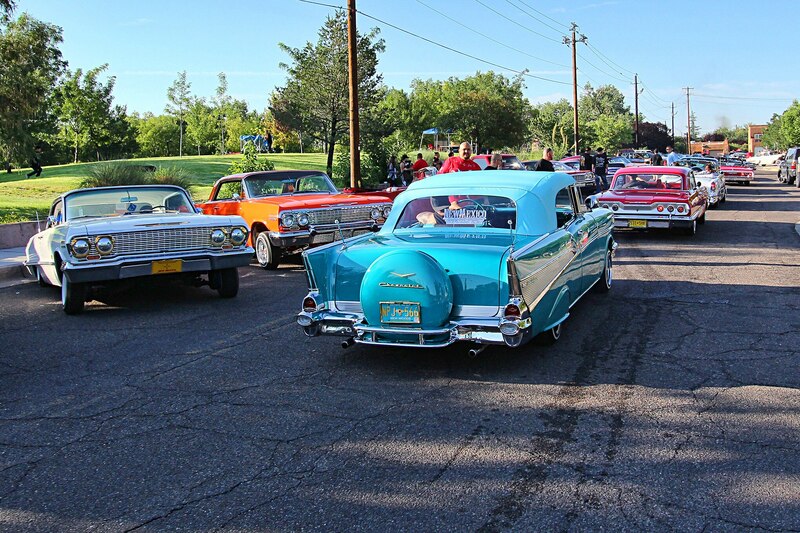 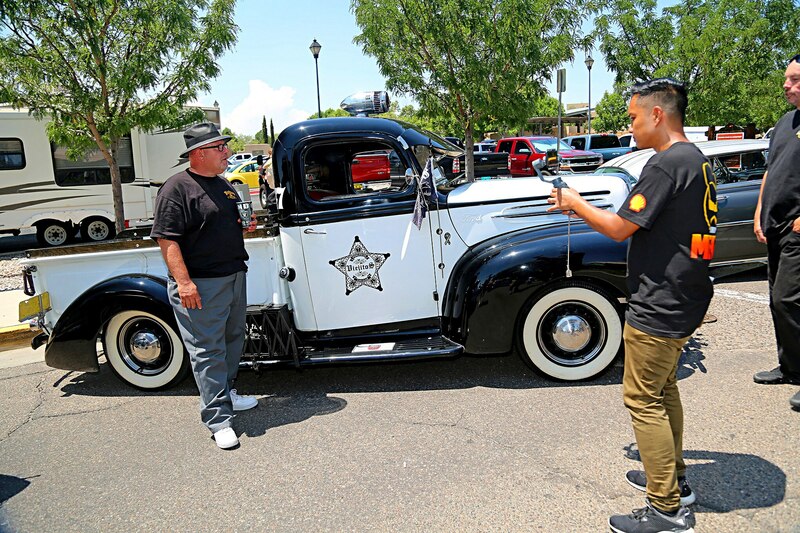 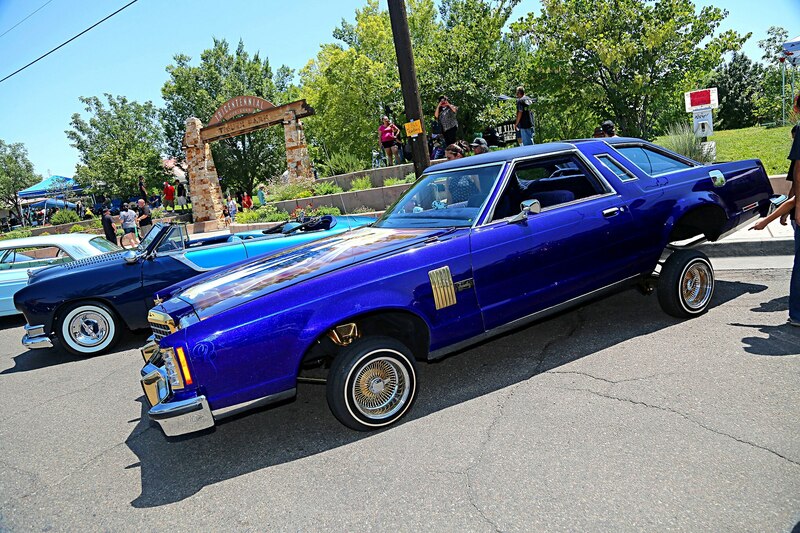 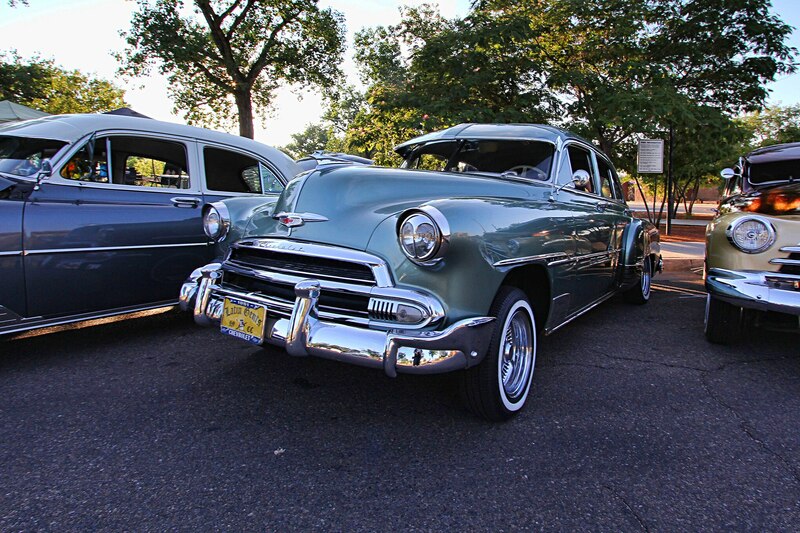 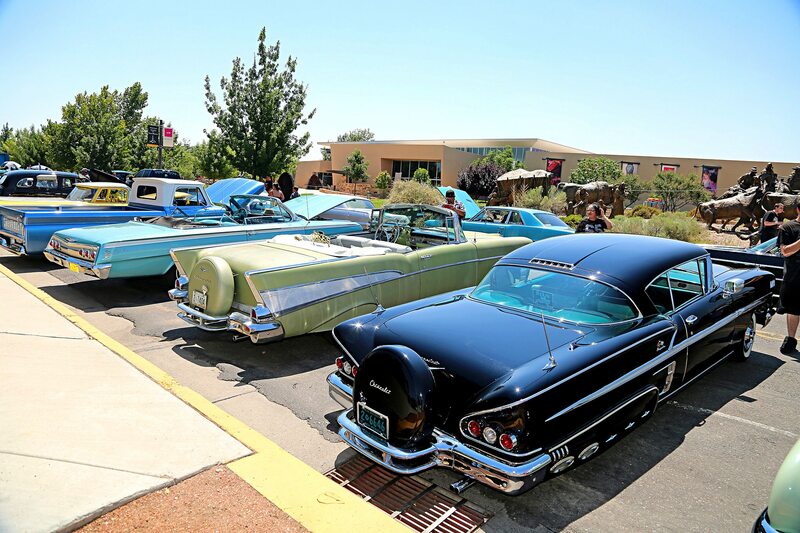 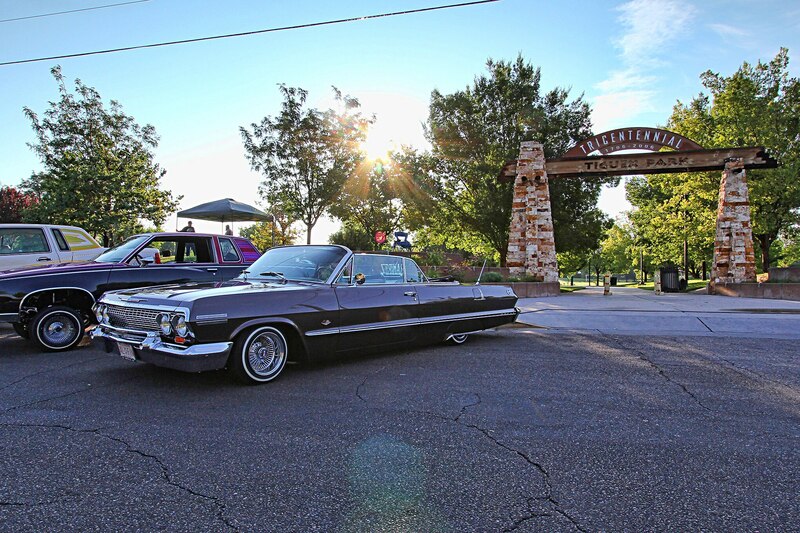 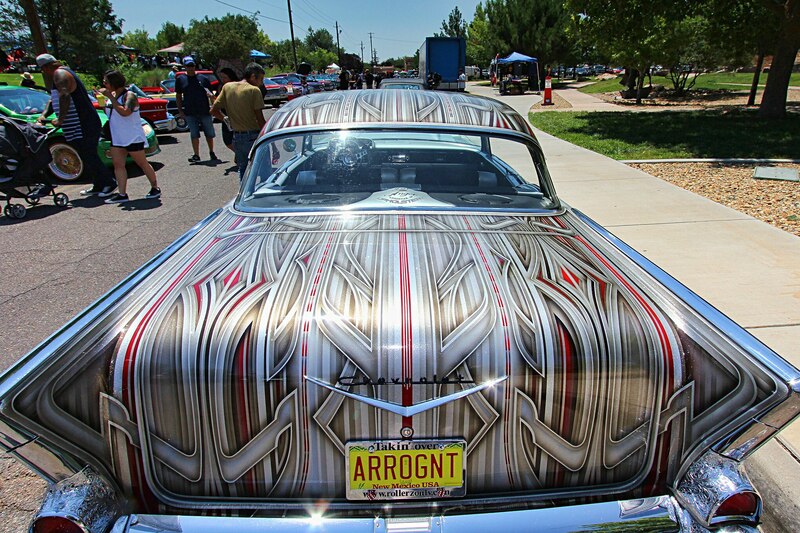 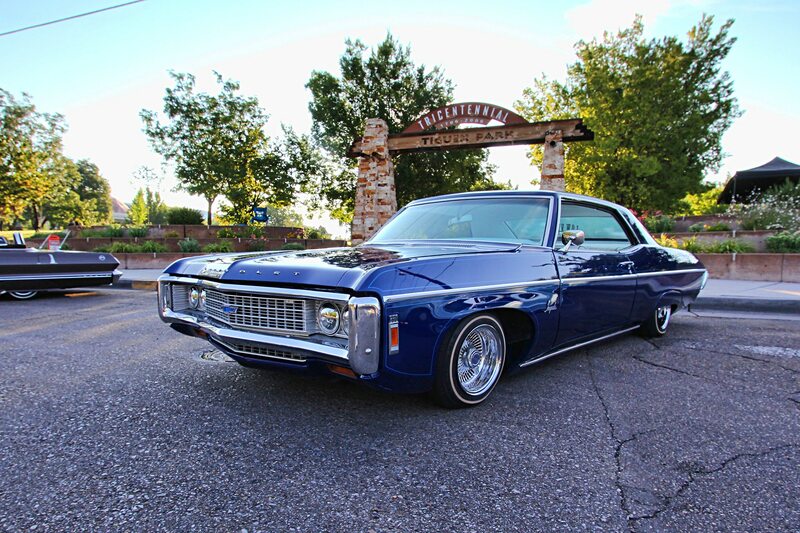 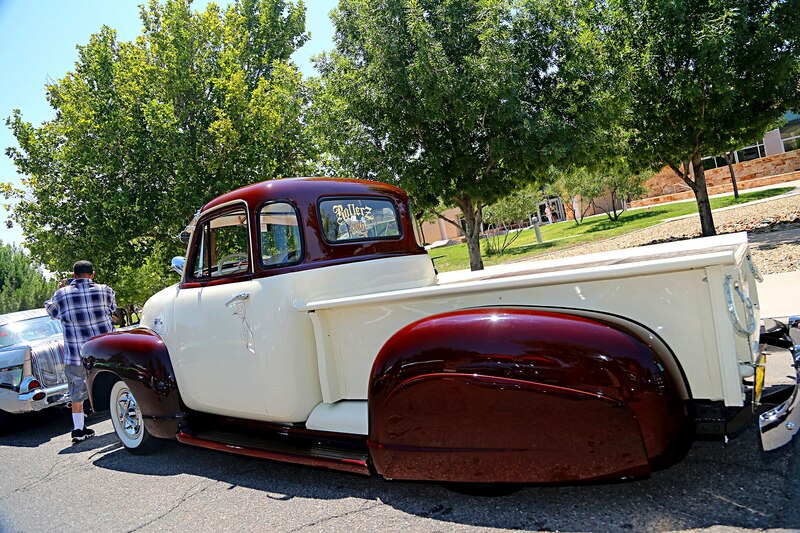 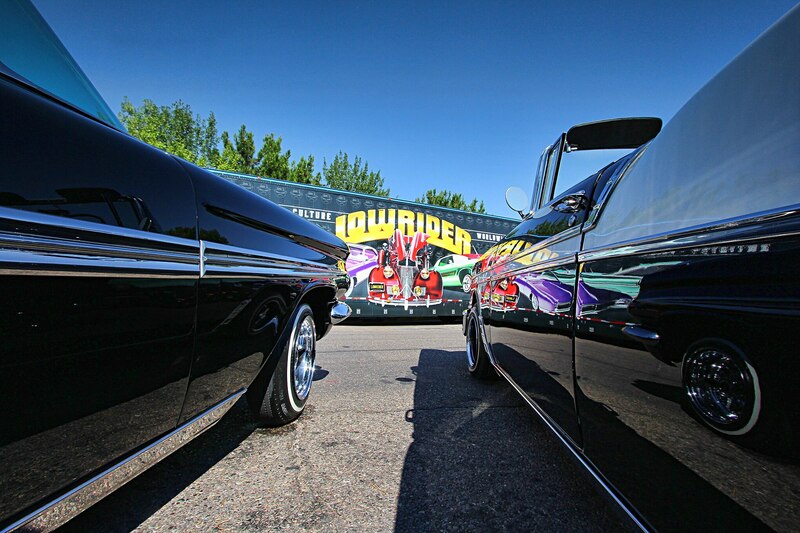 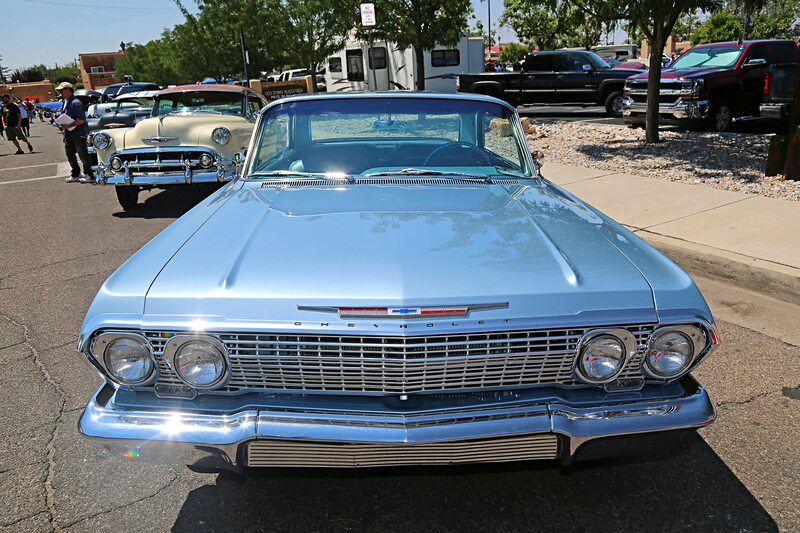 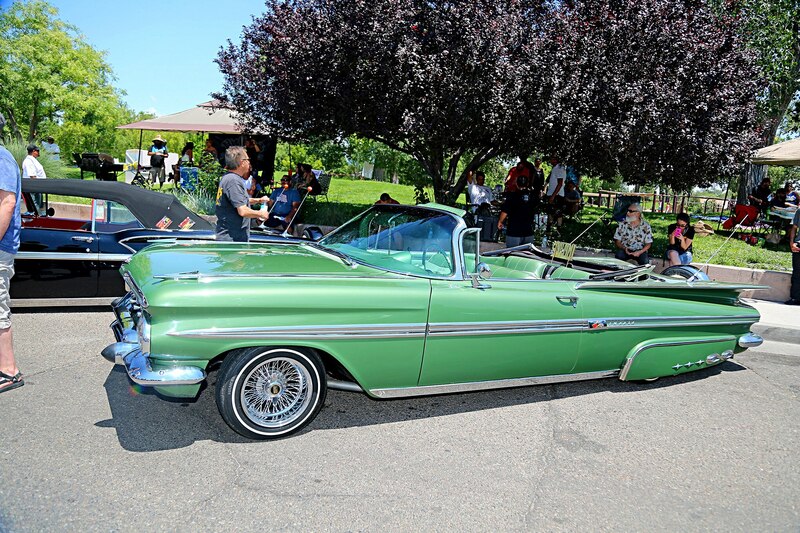 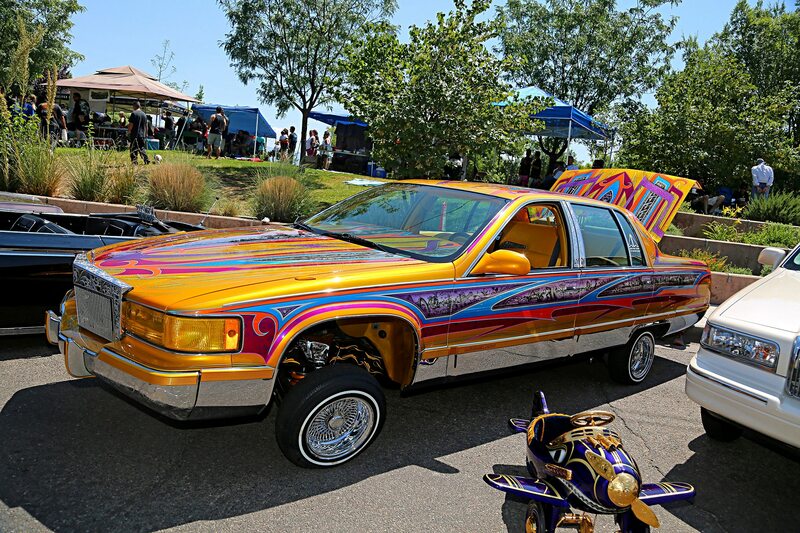 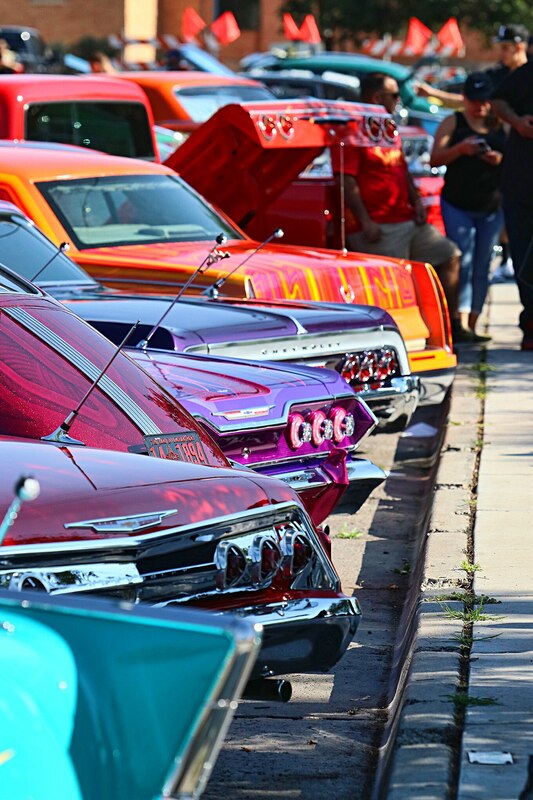 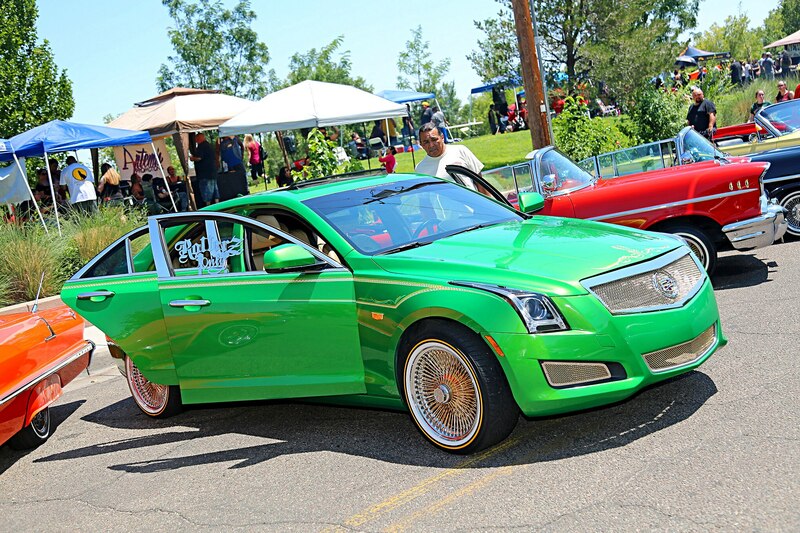 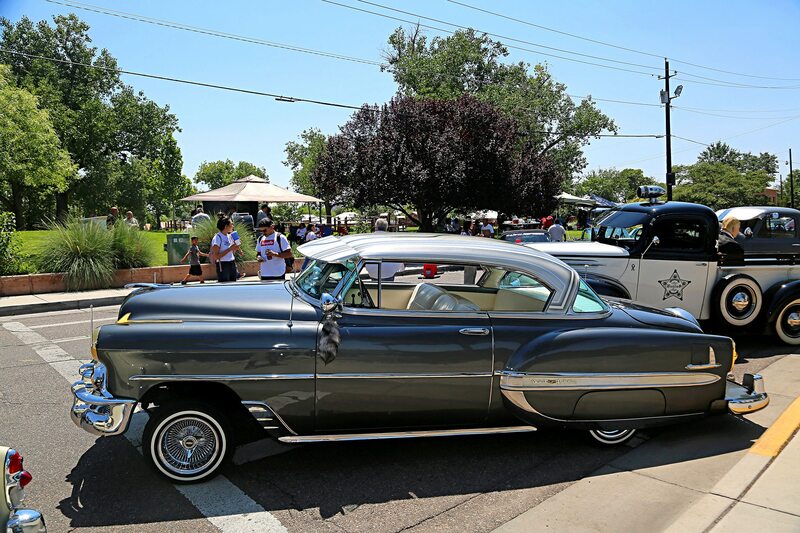 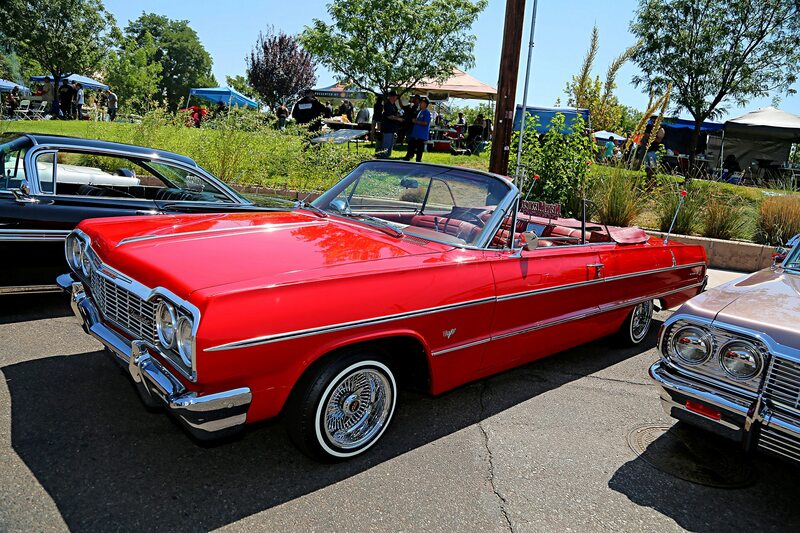 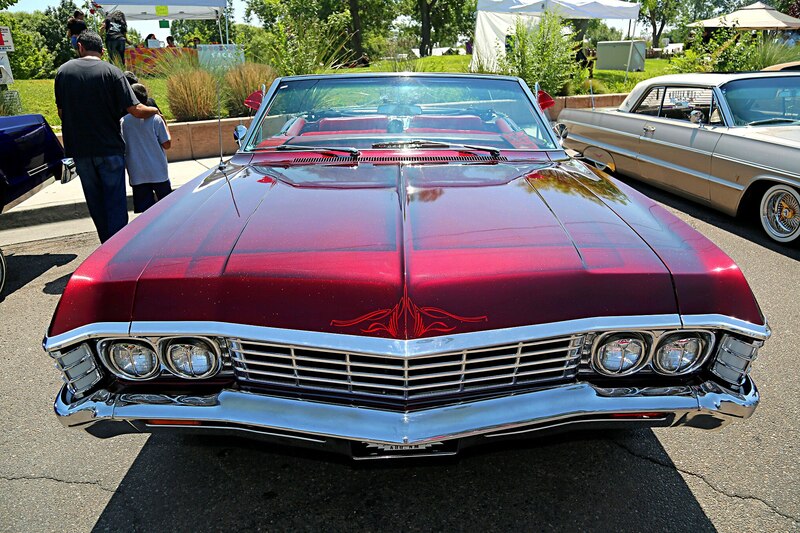 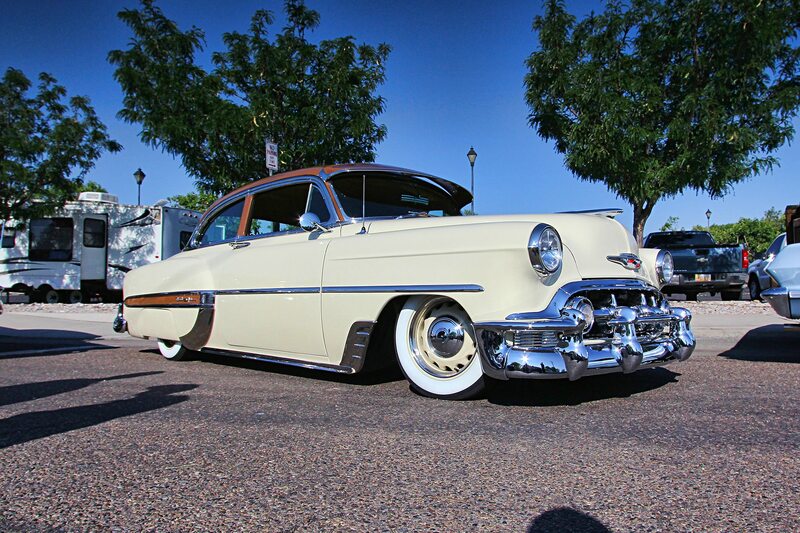 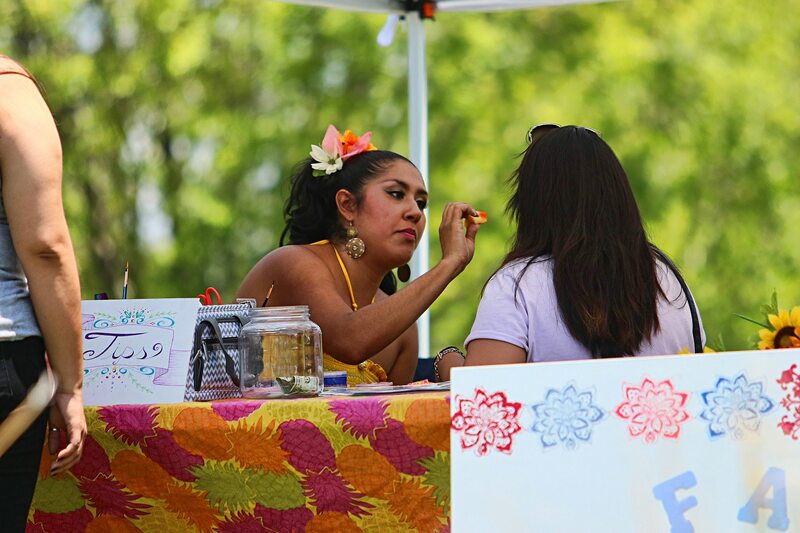 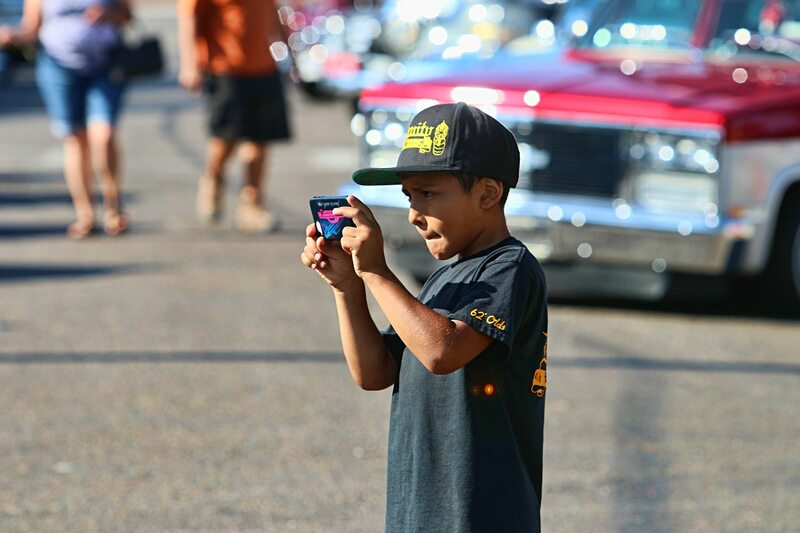 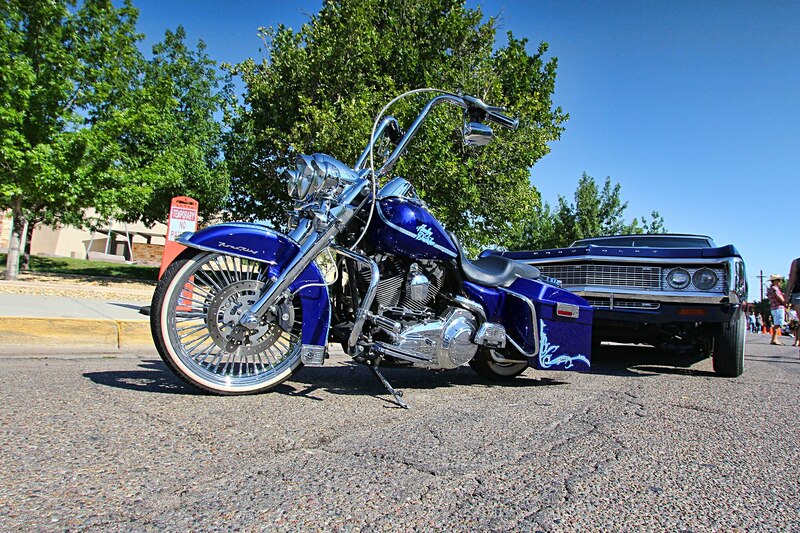 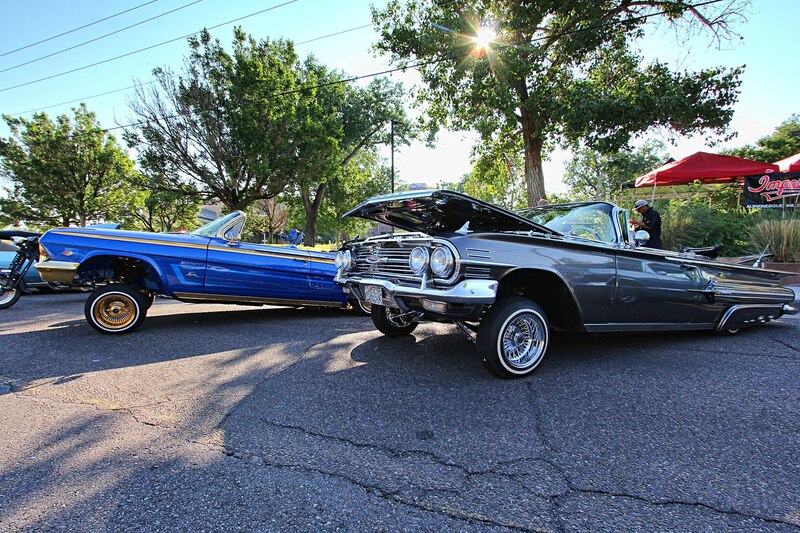 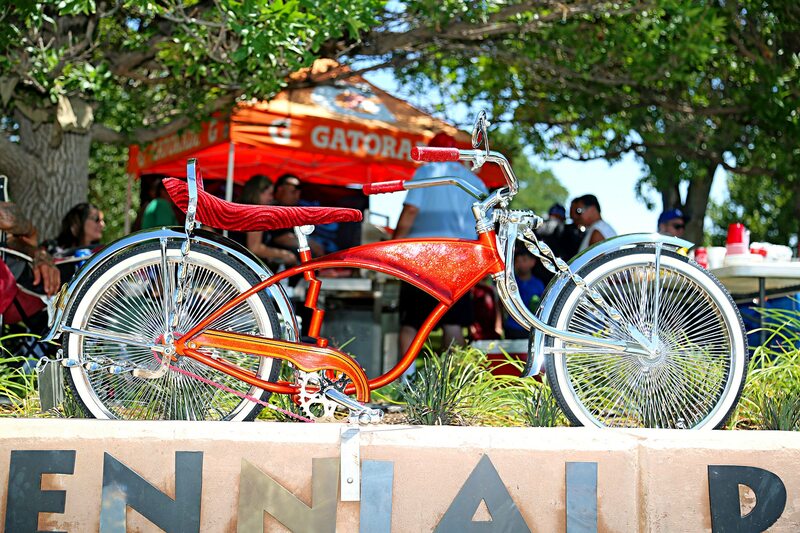 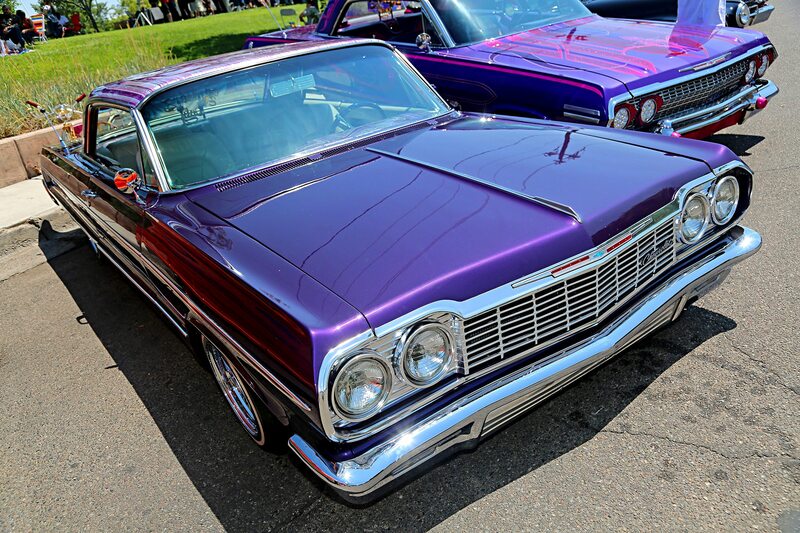 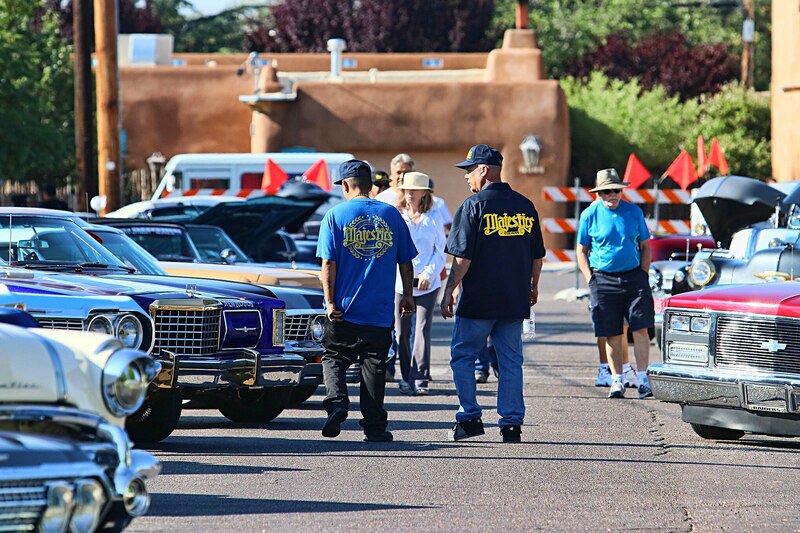 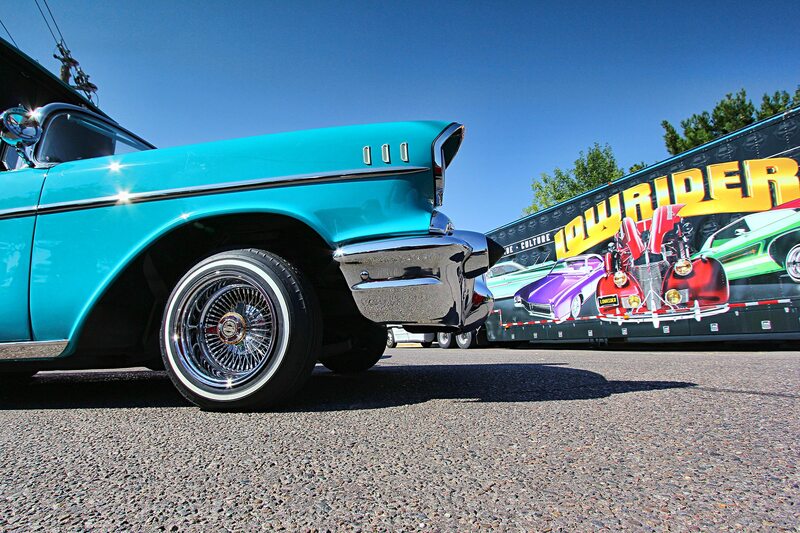 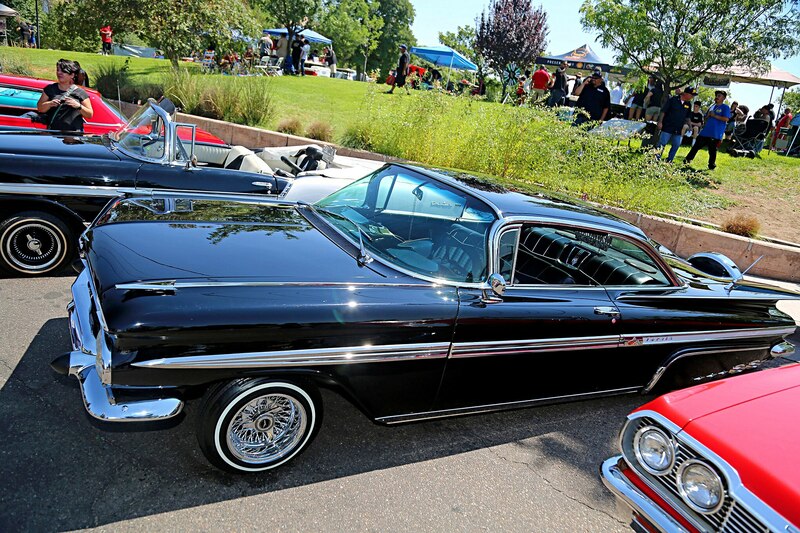 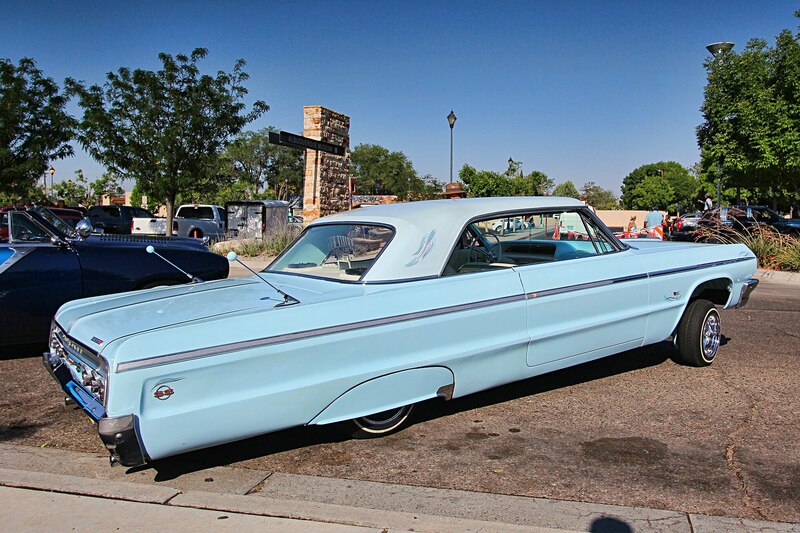 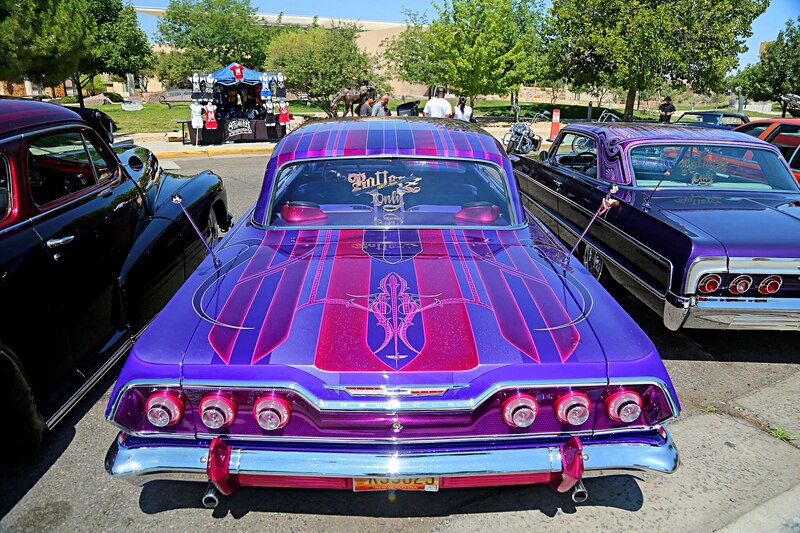 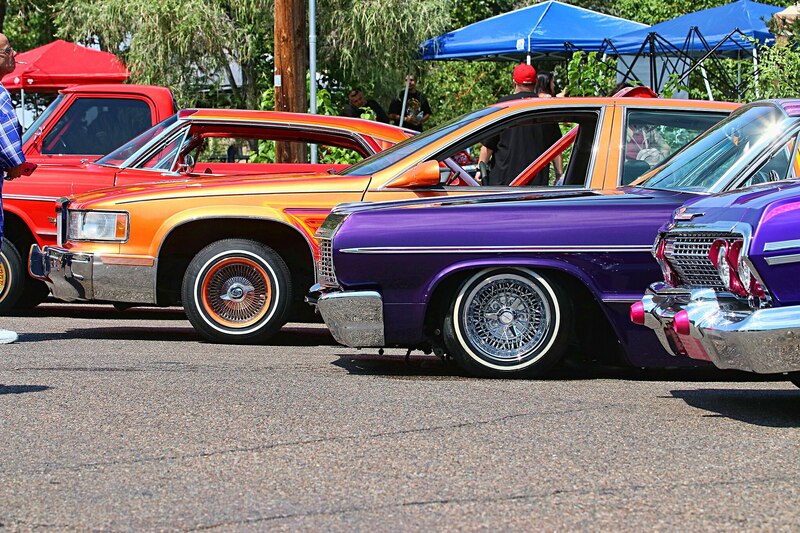 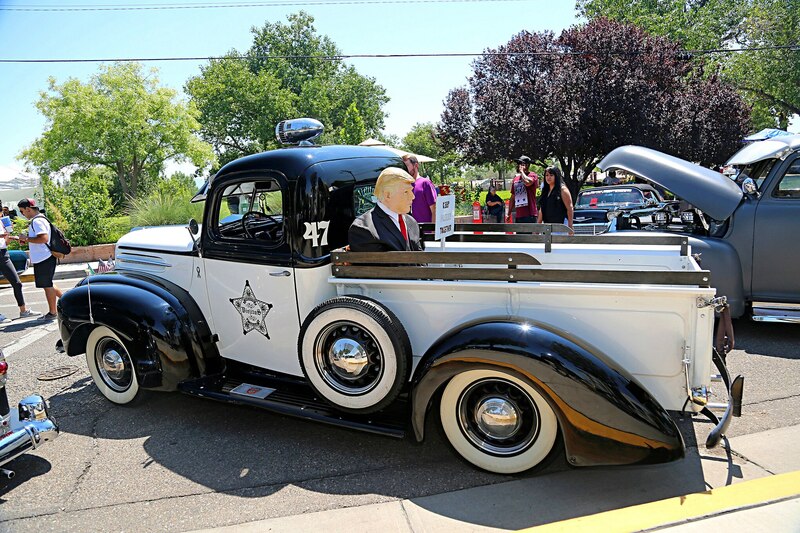 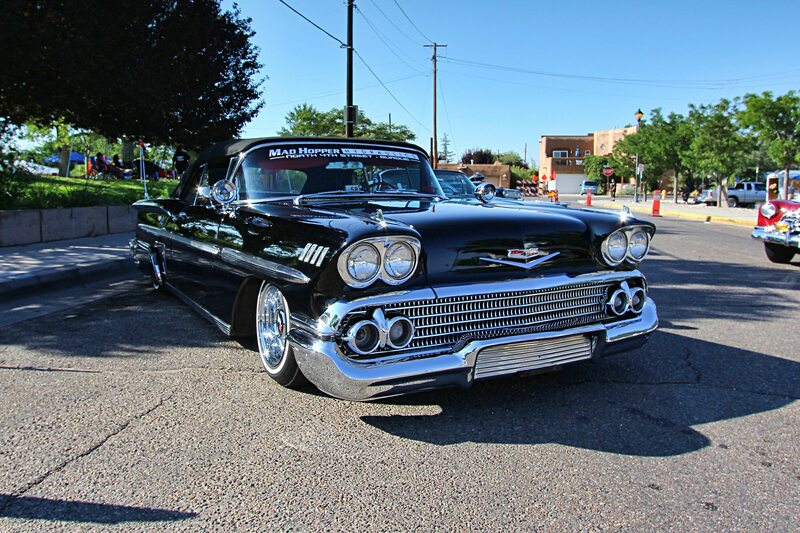 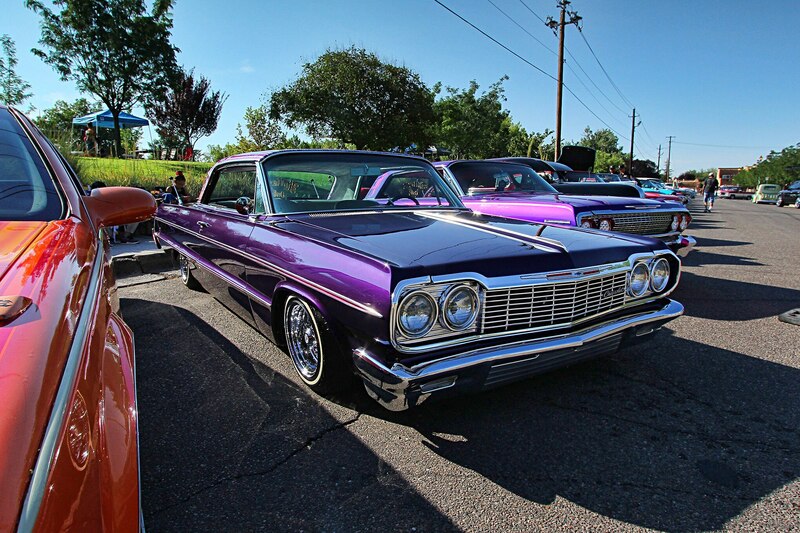 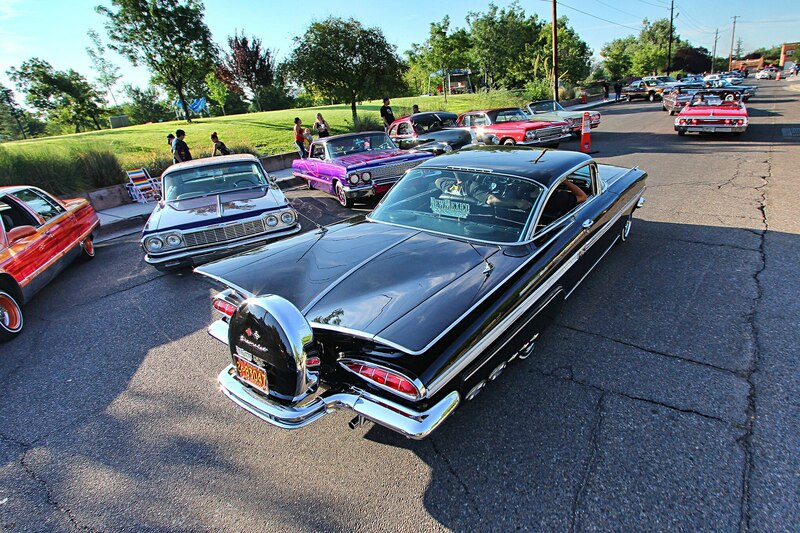 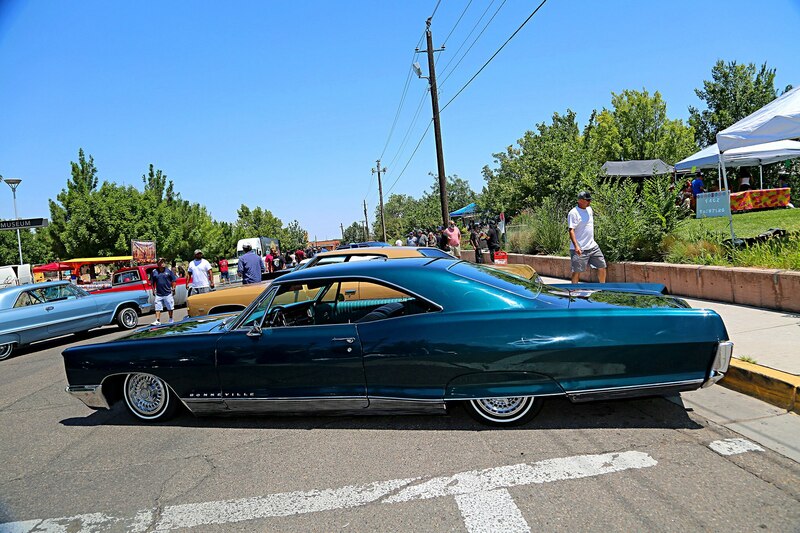 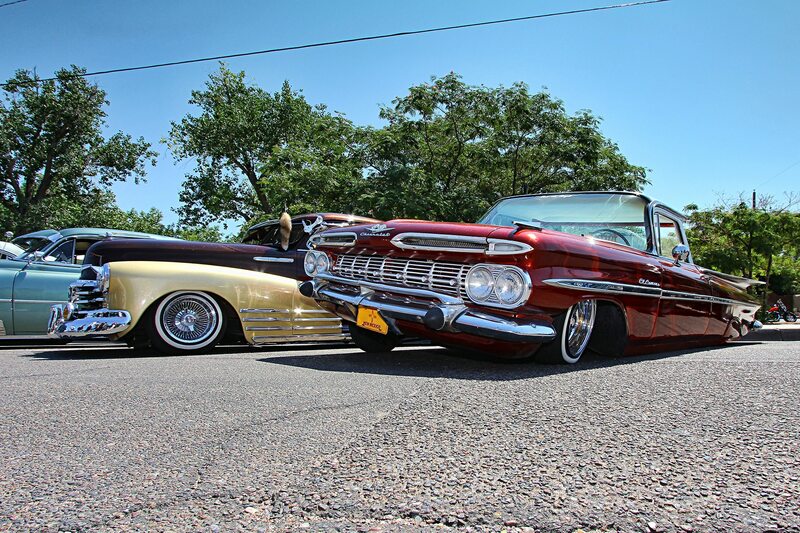 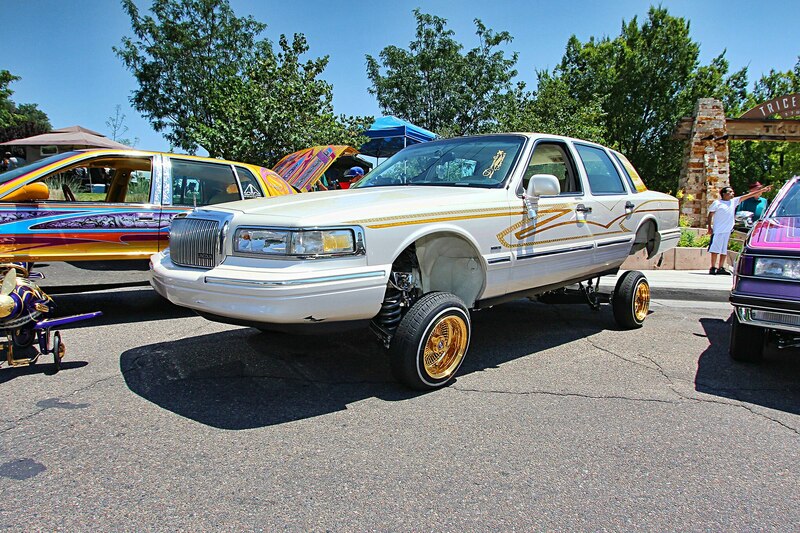 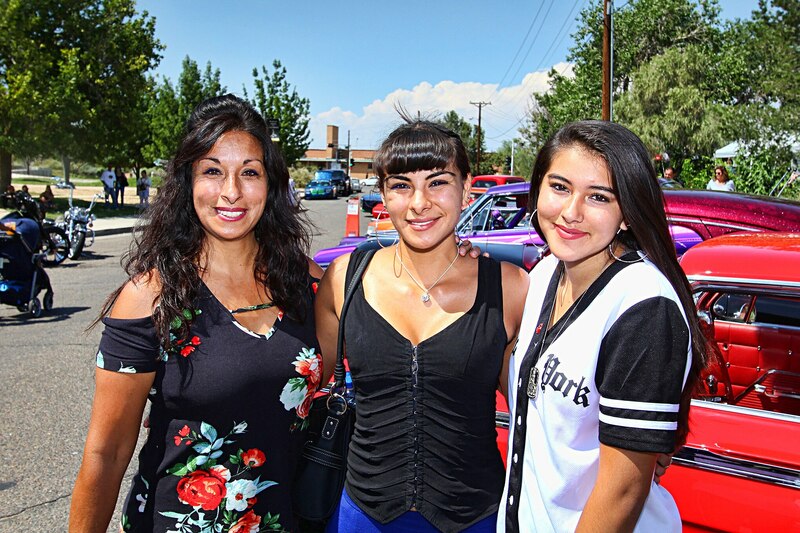 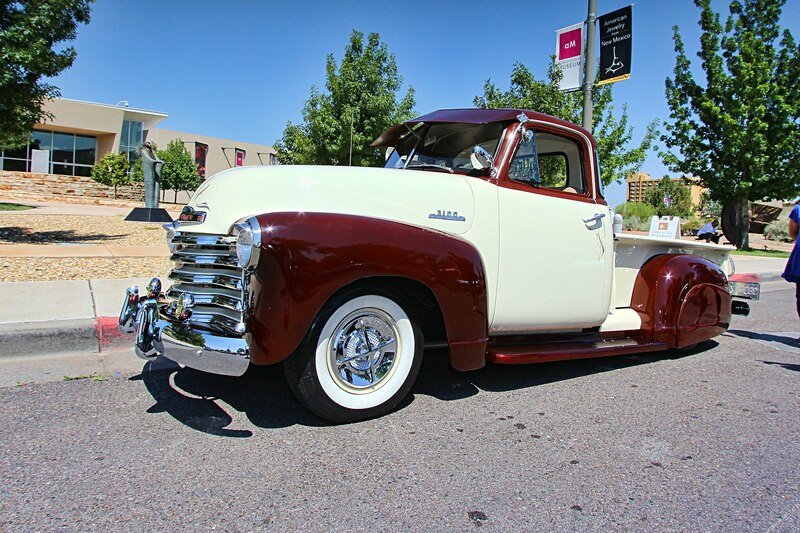 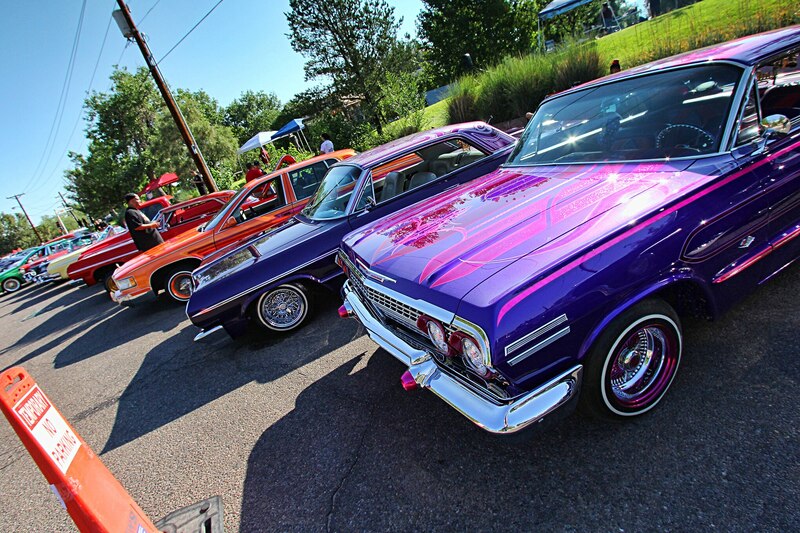 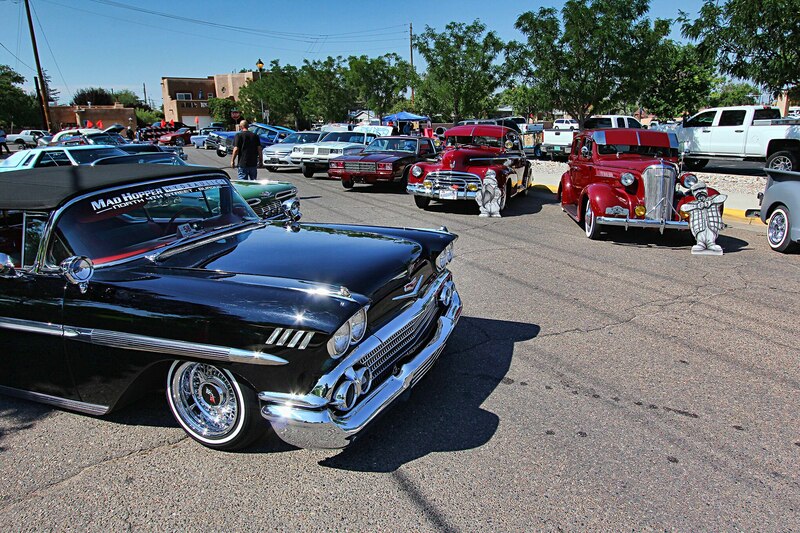 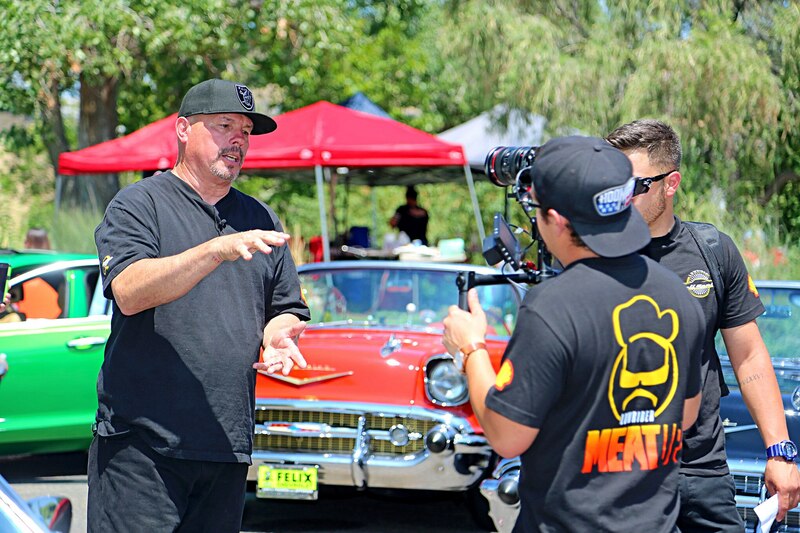 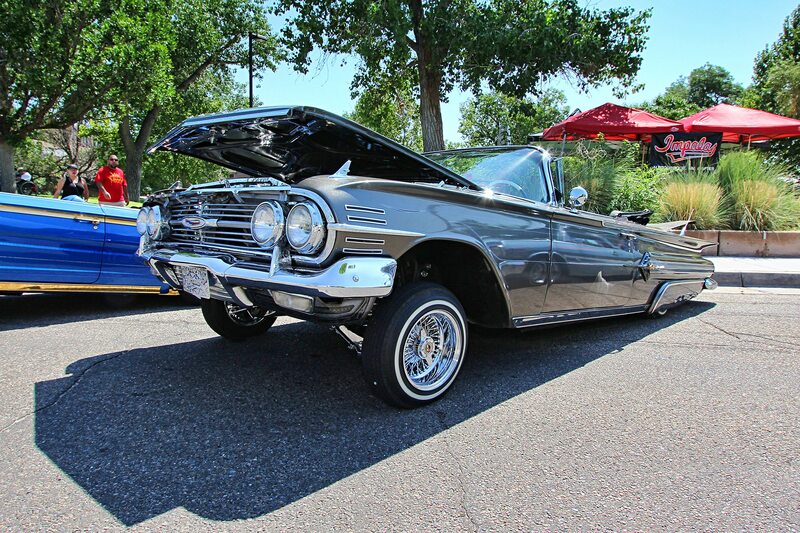 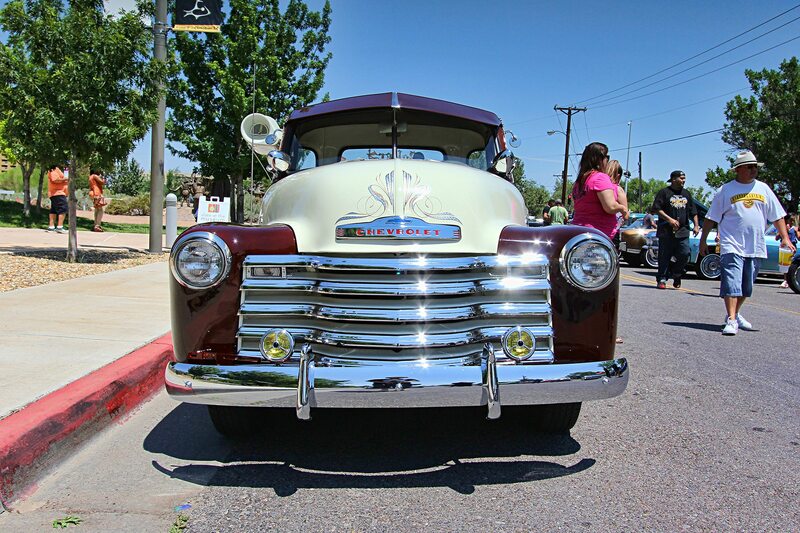 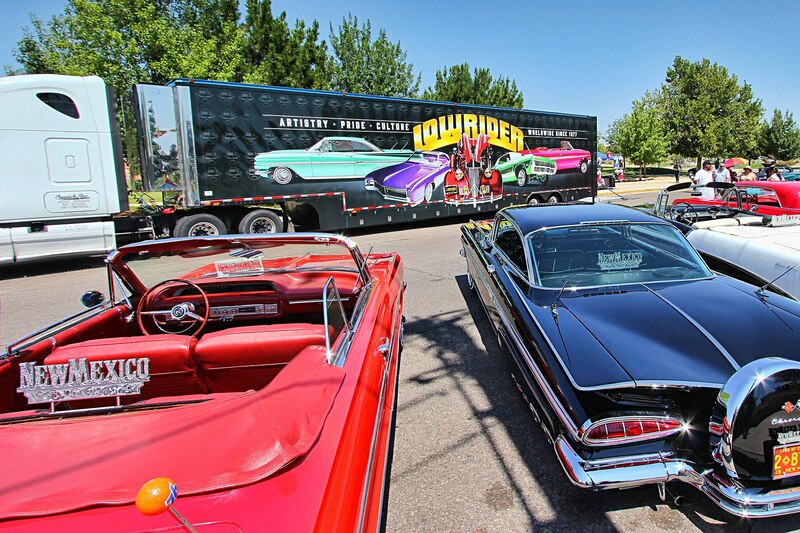 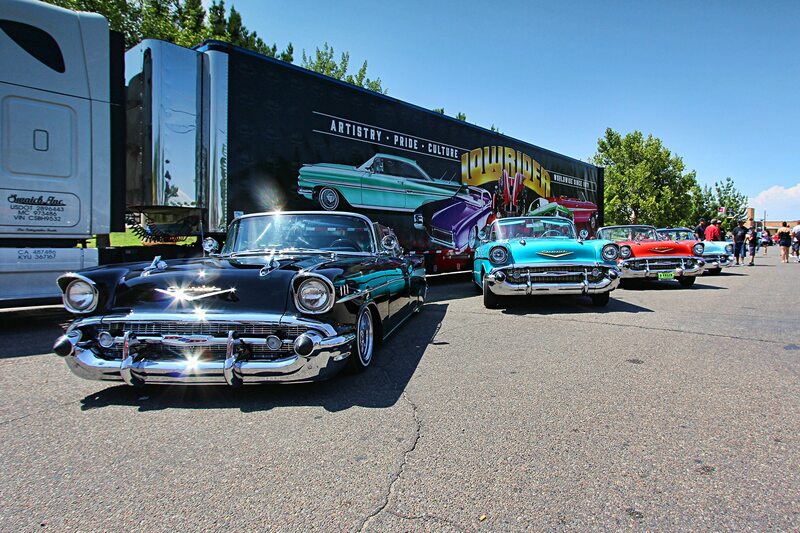 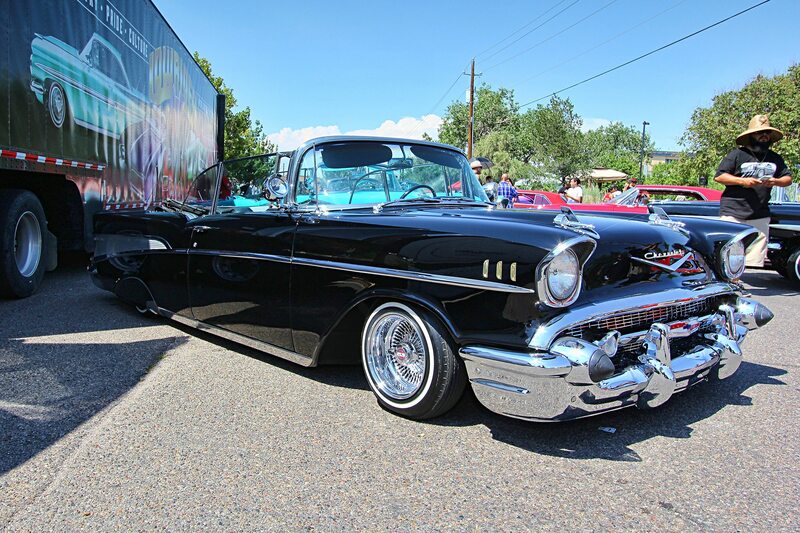 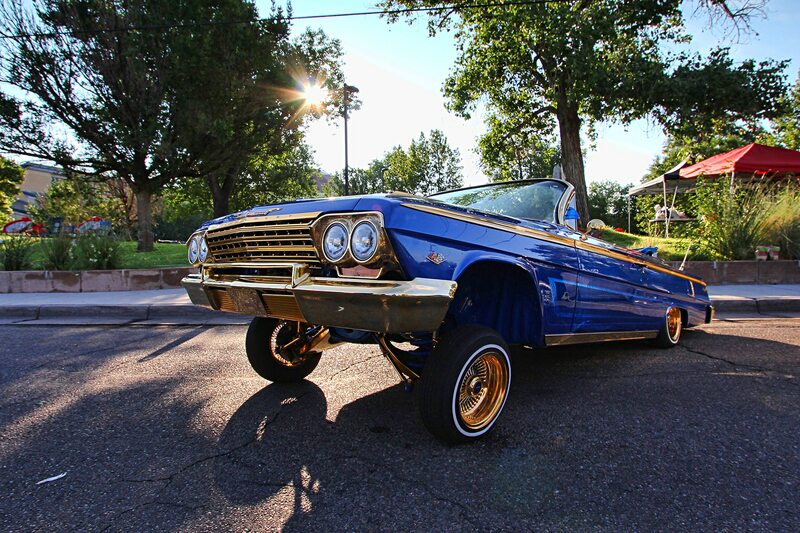 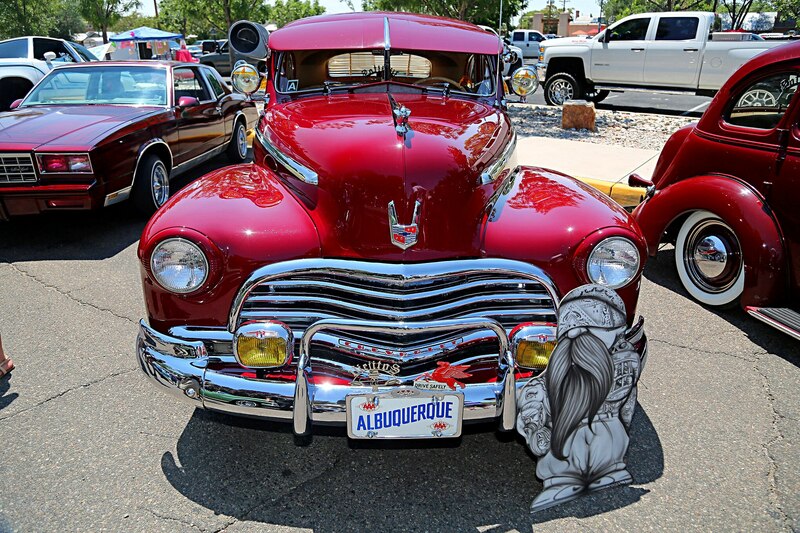 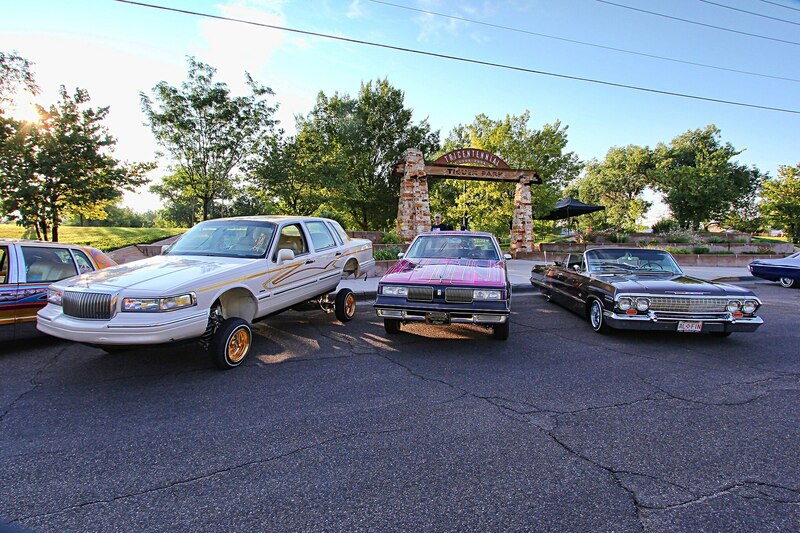 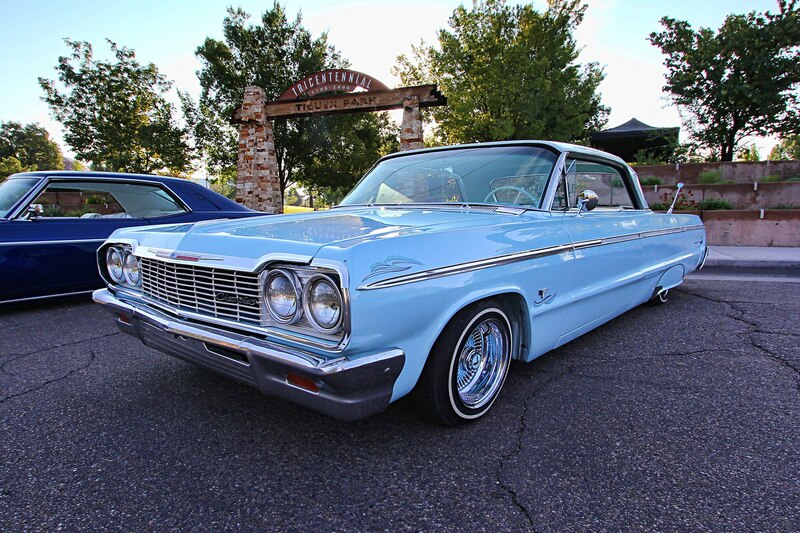 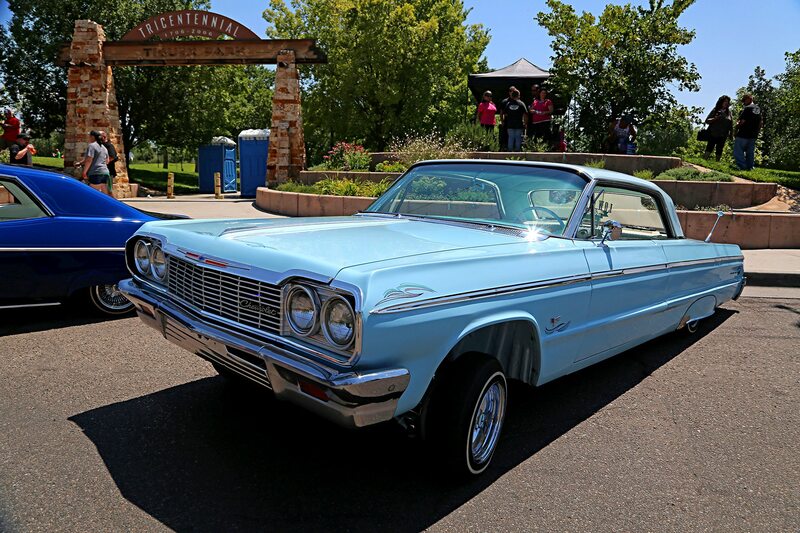 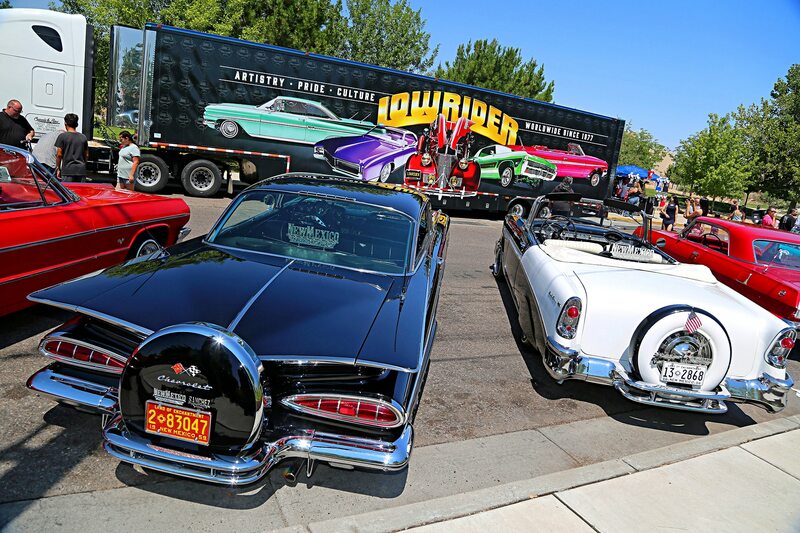 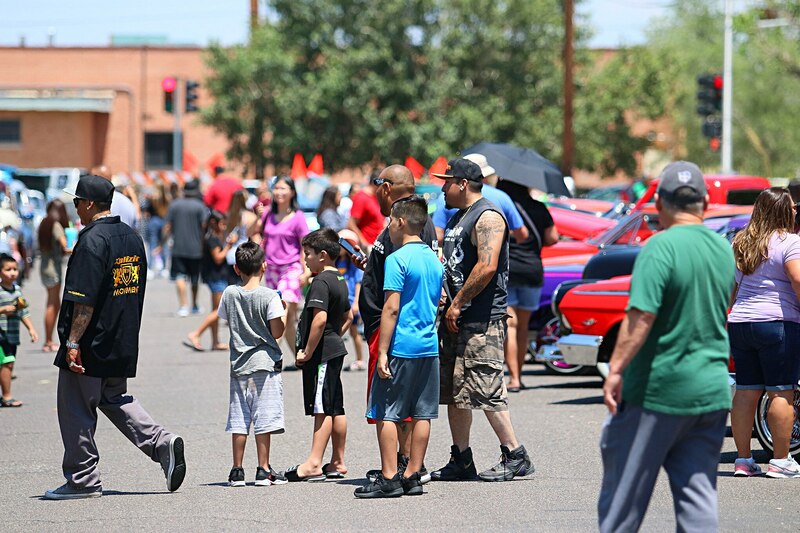 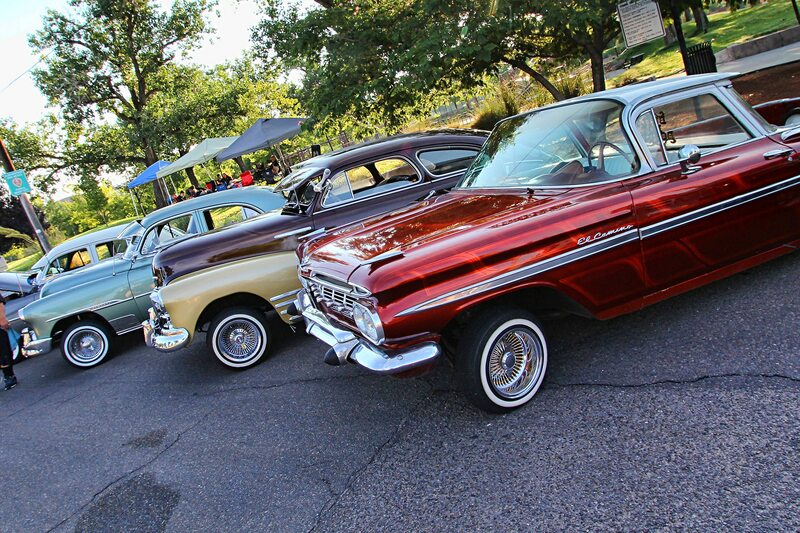 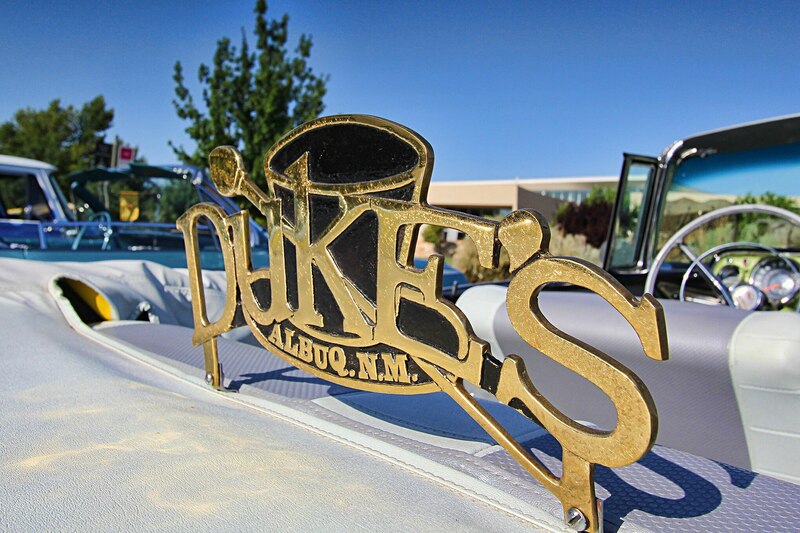 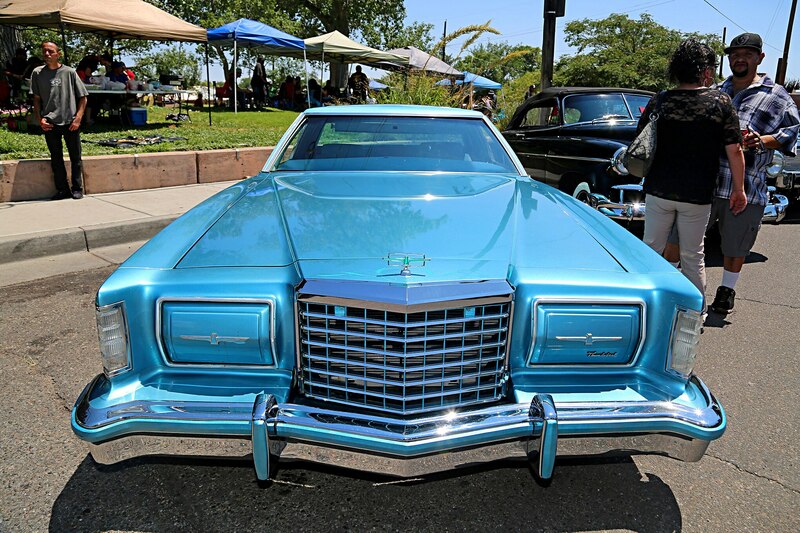 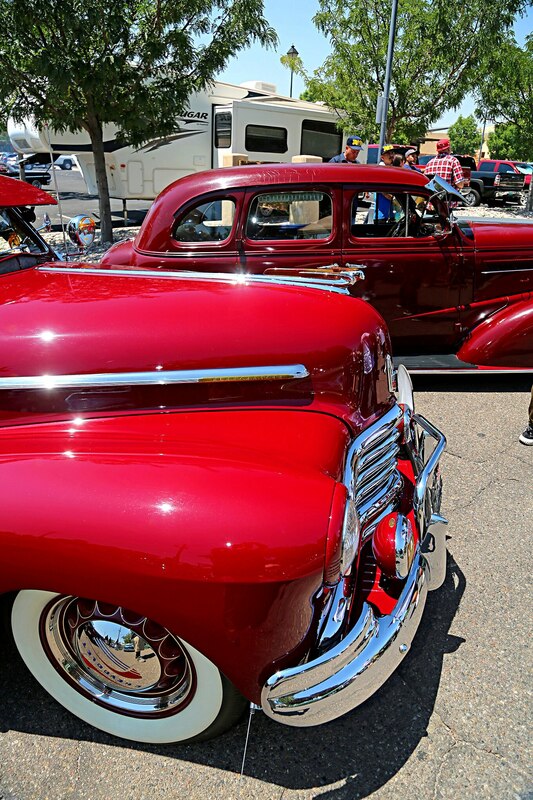 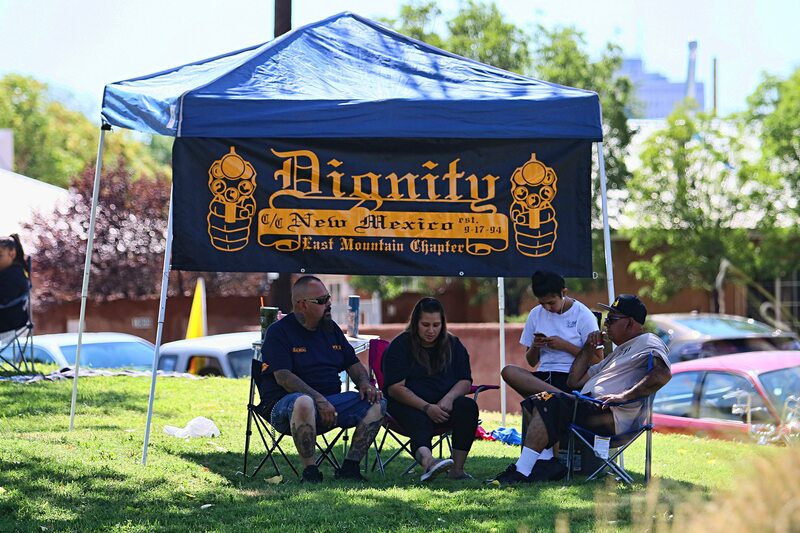 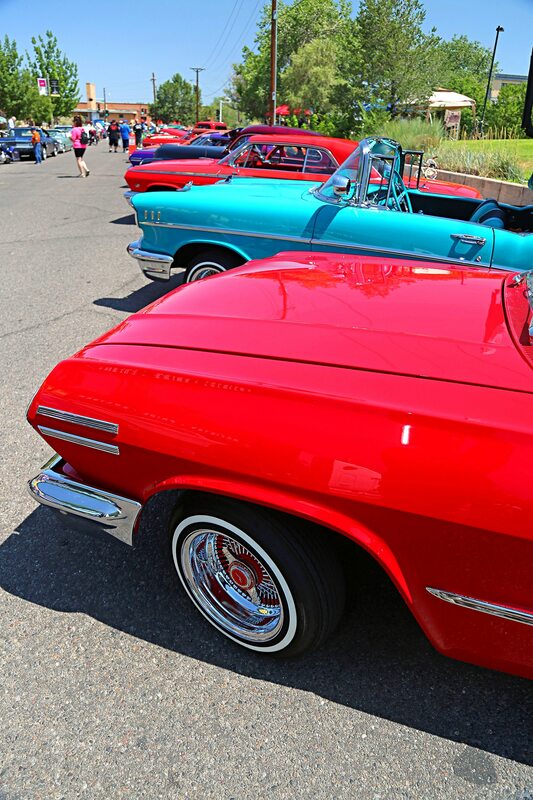 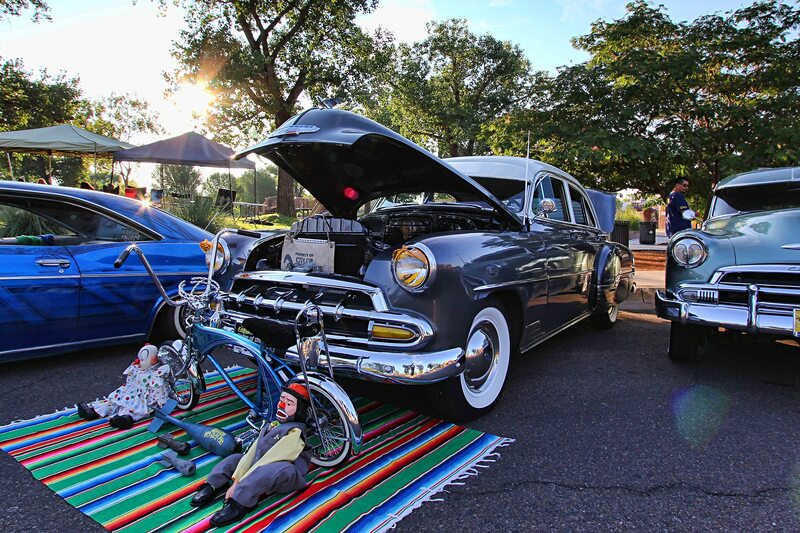 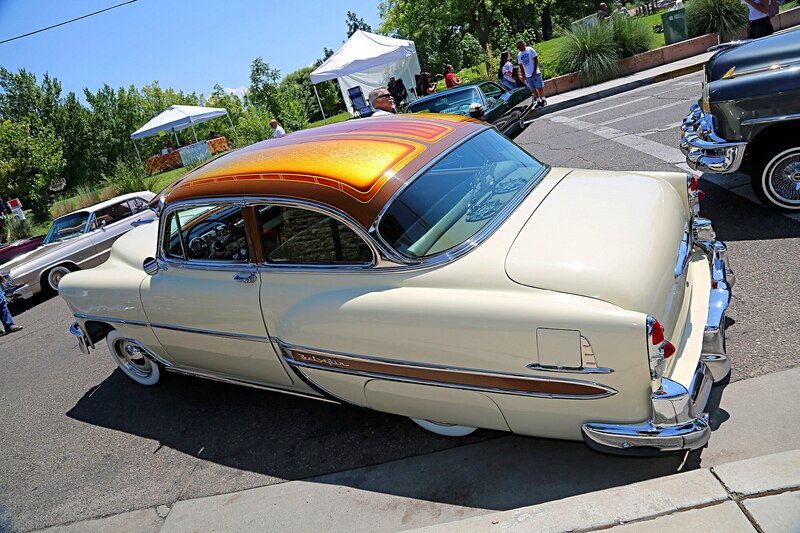 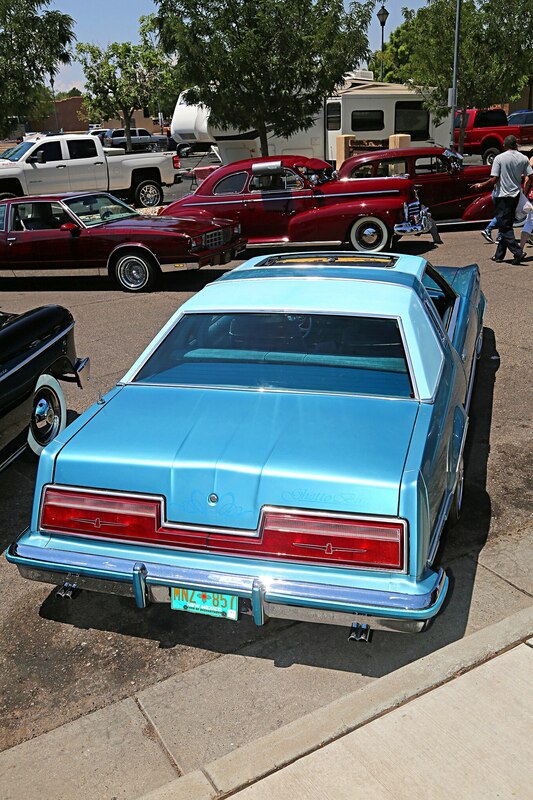 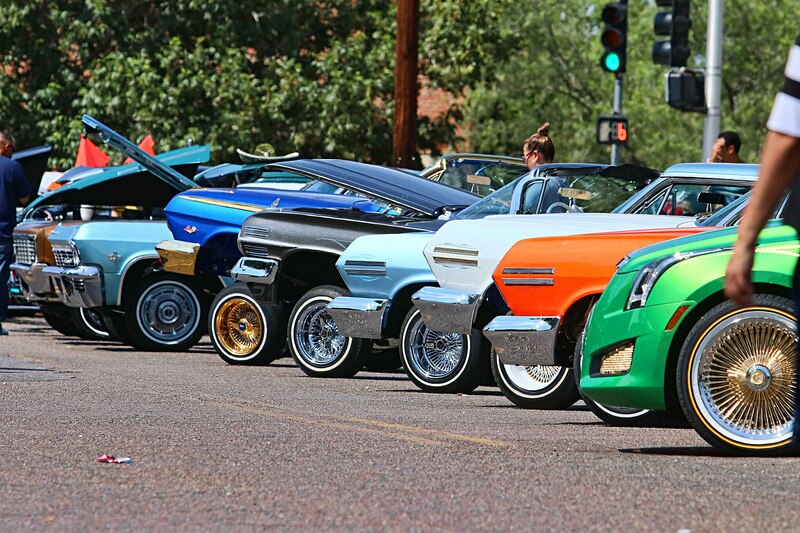 With its narrow streets and century-old adobe houses, Old Town Albuquerque was the perfect location for a gathering of the finest lowriders from in and around town. 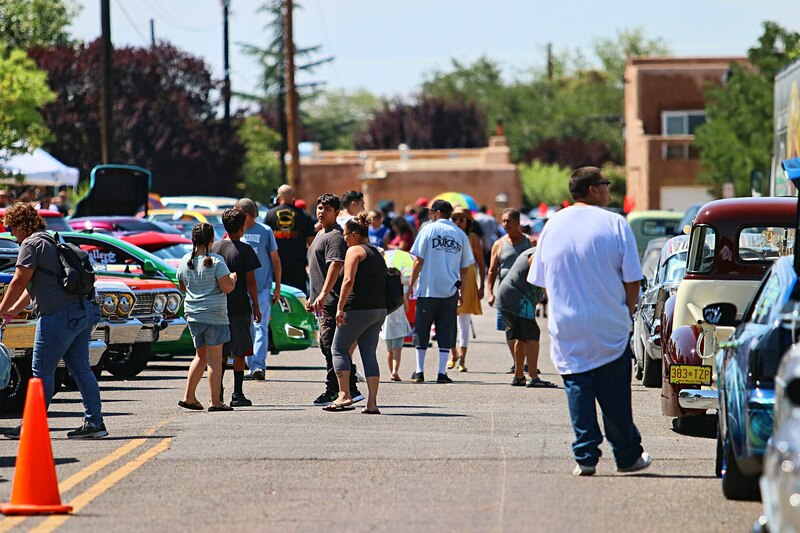 As the cars made their way in, the event was at full capacity before most locals were even up. 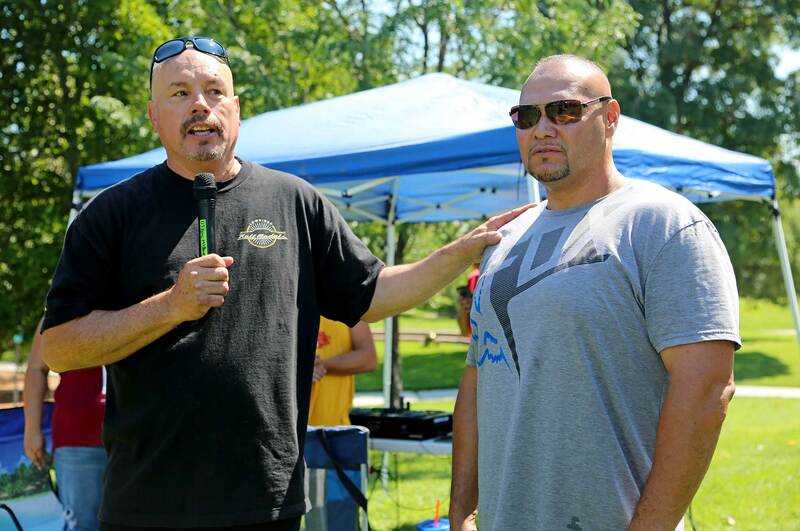 The day began with a speech from Editor-in-Chief Joe Ray, followed by a prayer led by our friend House. 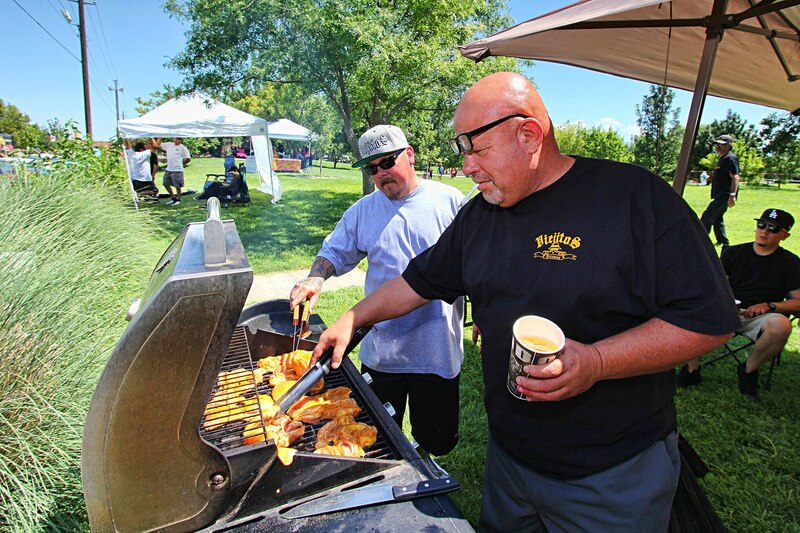 After that, the grills were fired up and the entire block was flooded with bellows of smoke as each club began grilling their best homemade recipes. 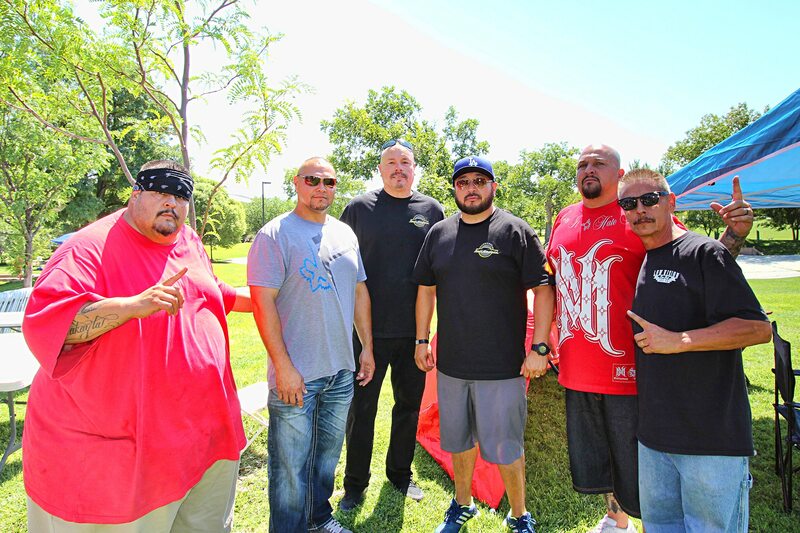 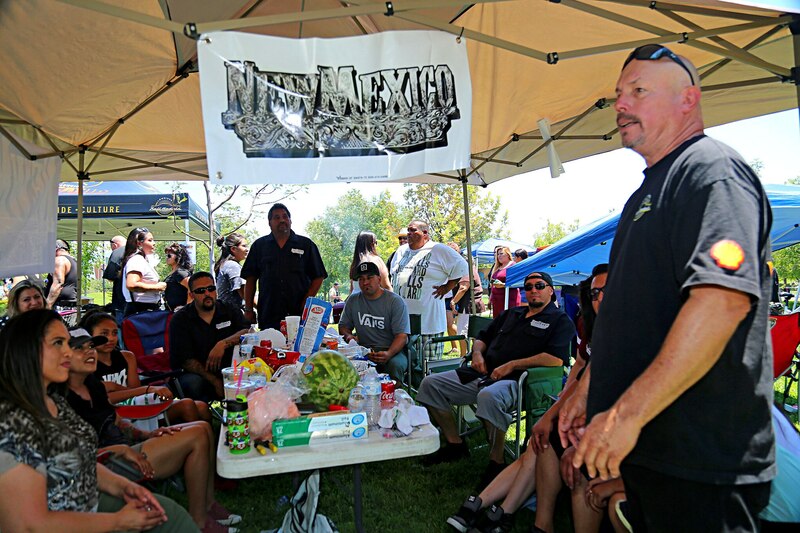 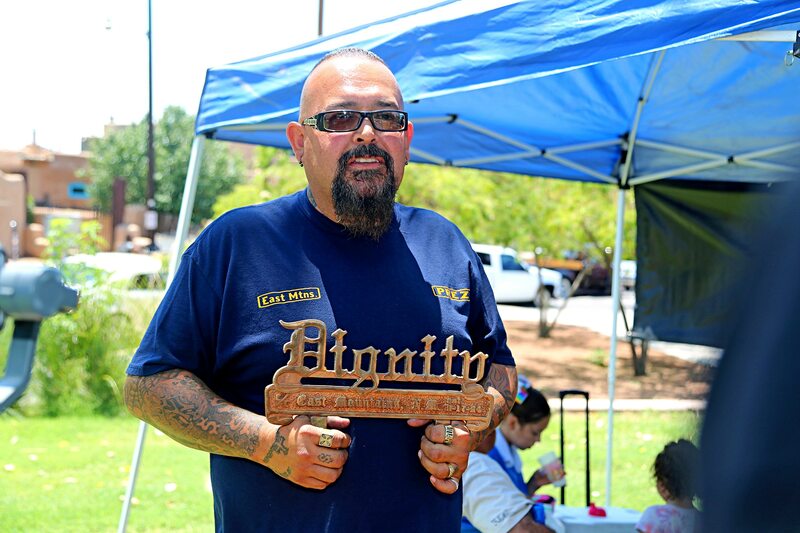 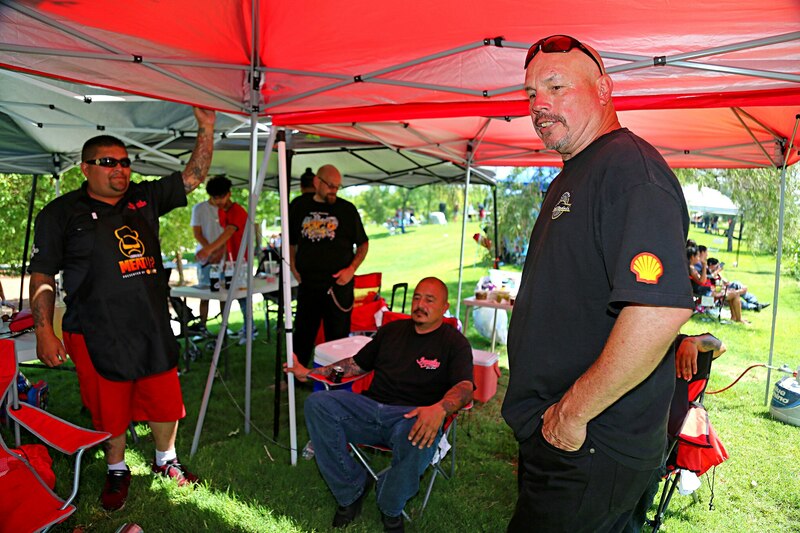 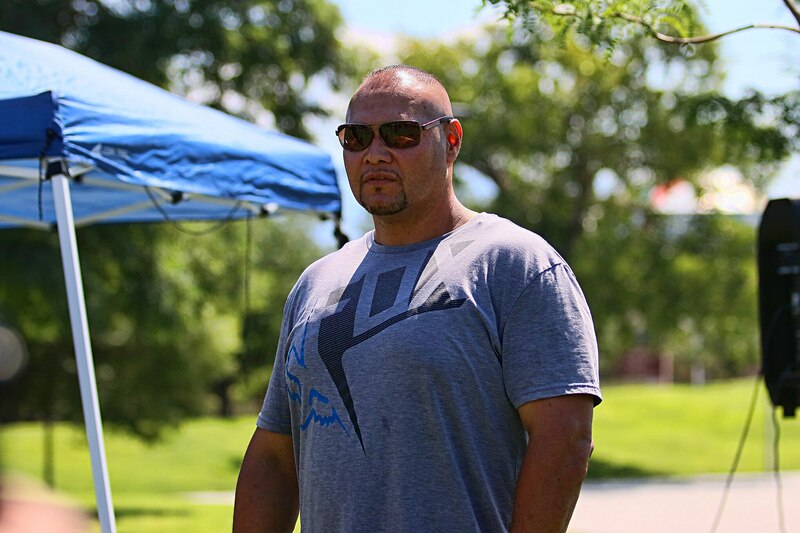 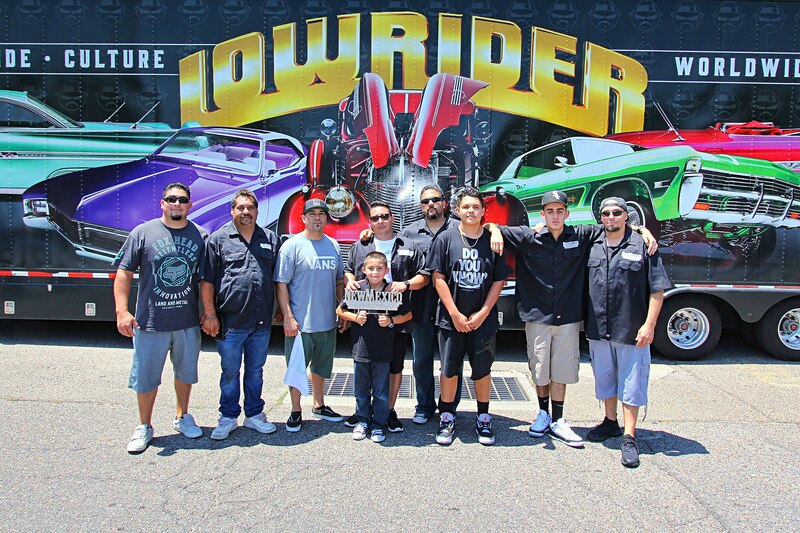 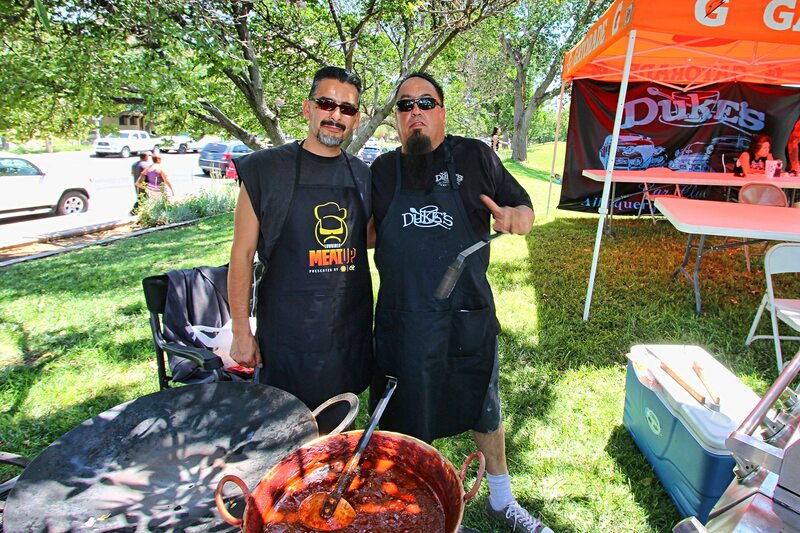 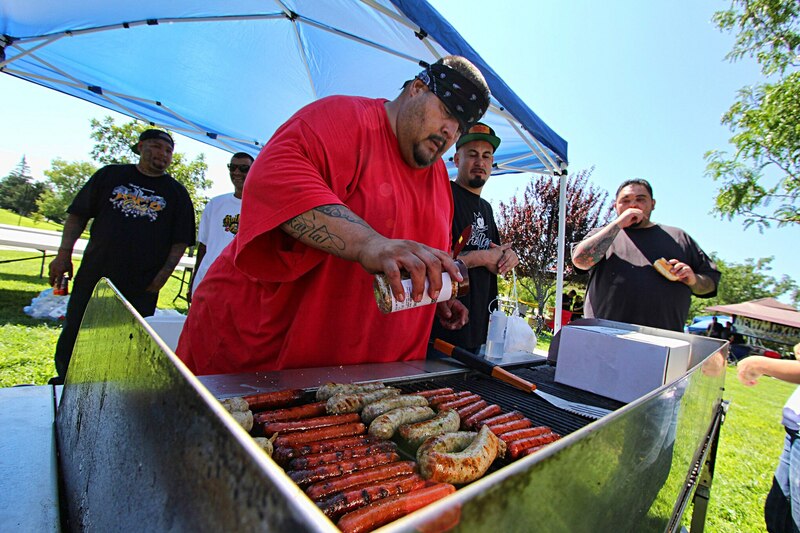 “Barbequing, showing off our rides, being with our family, that’s our culture. 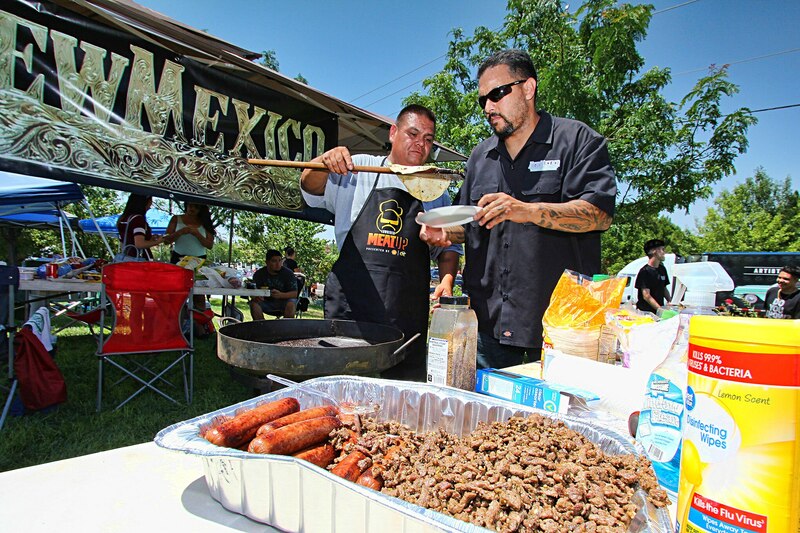 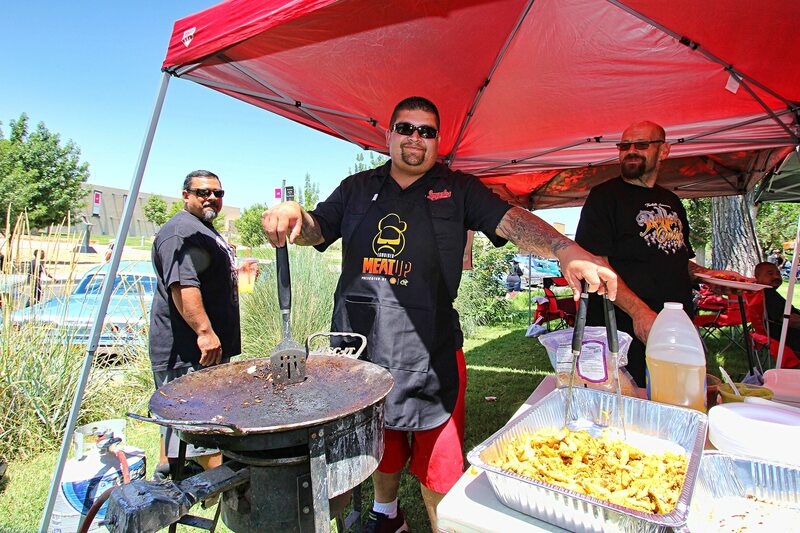 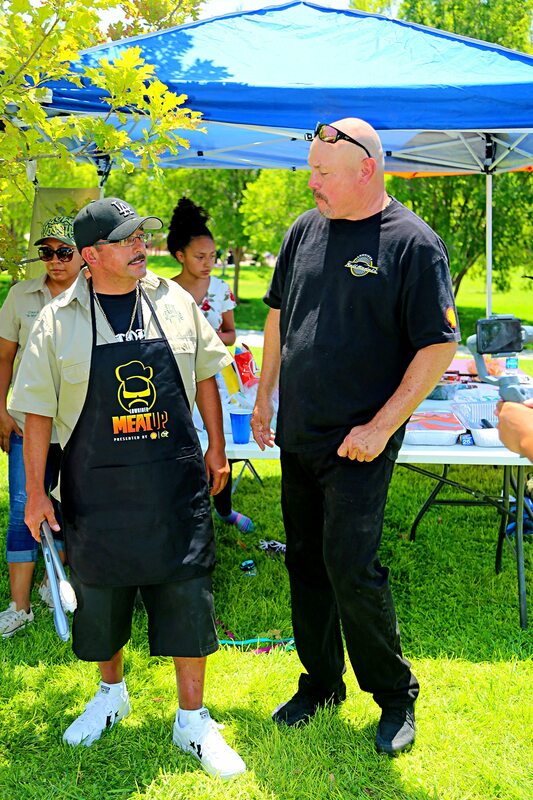 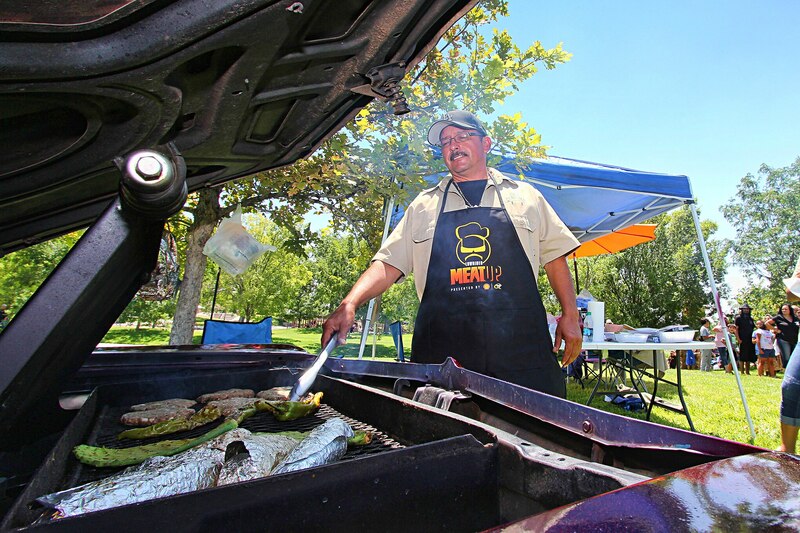 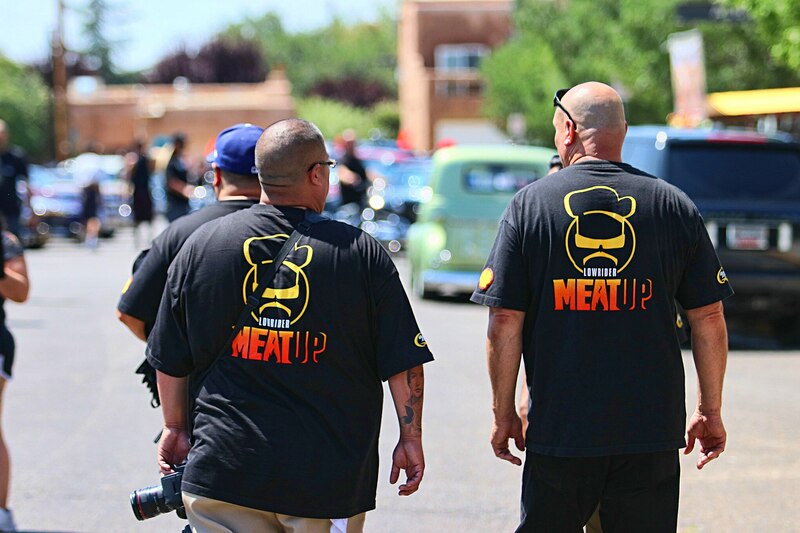 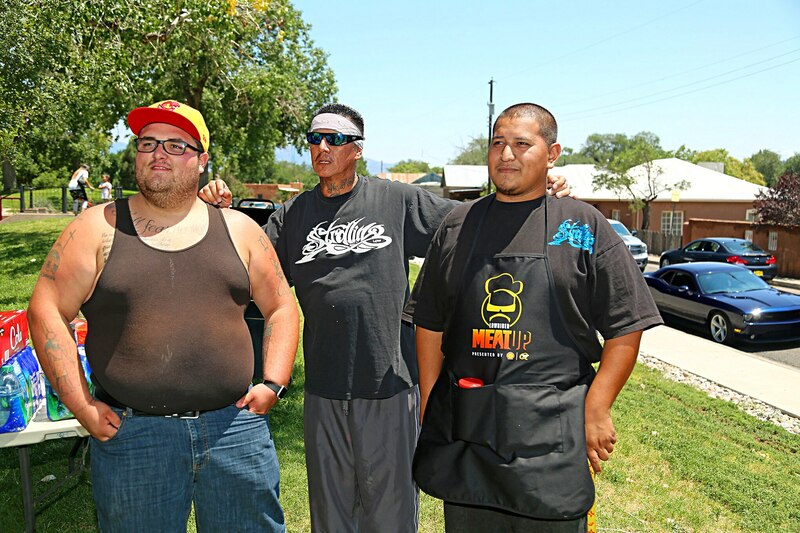 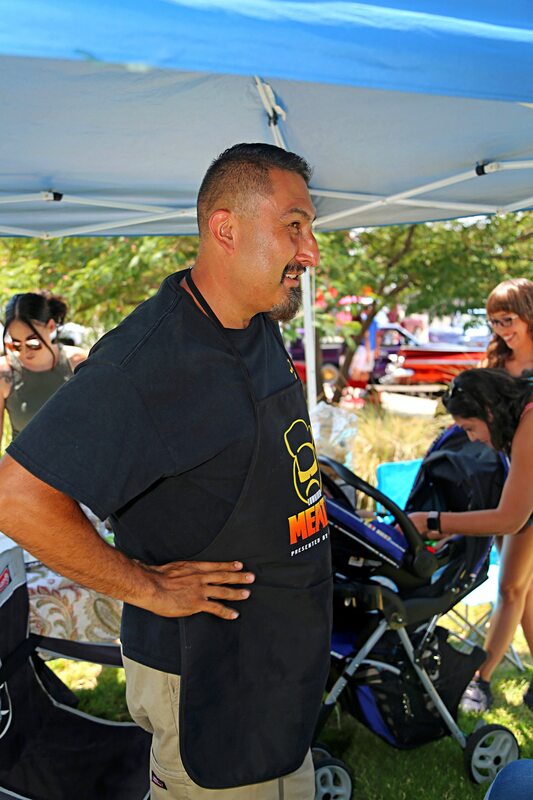 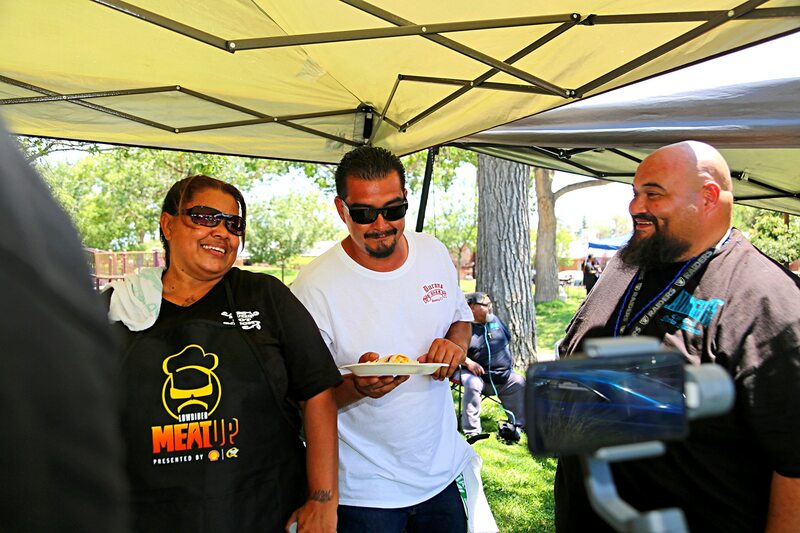 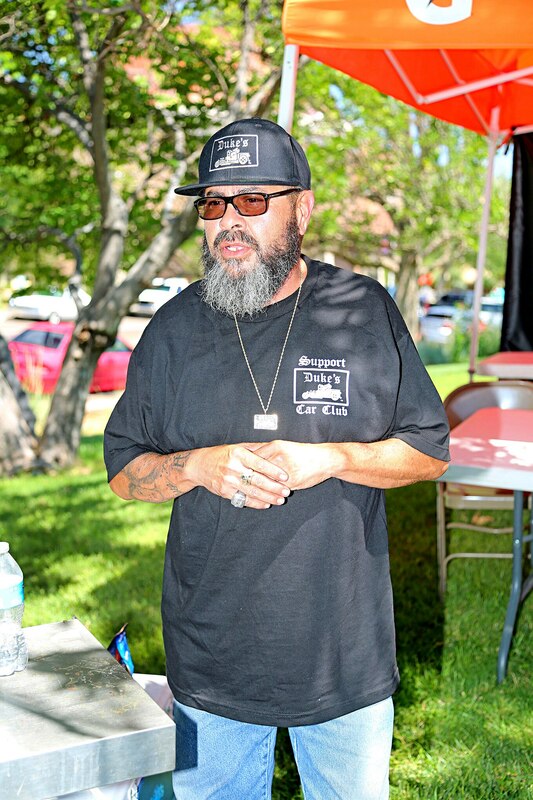 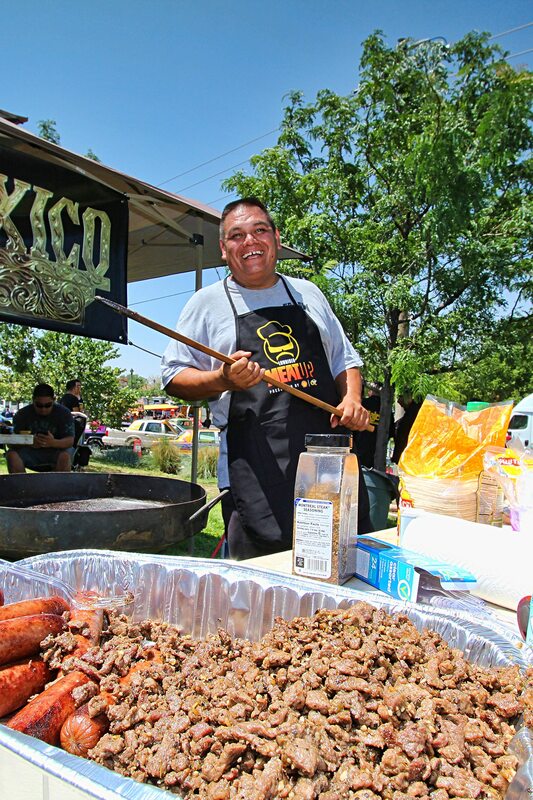 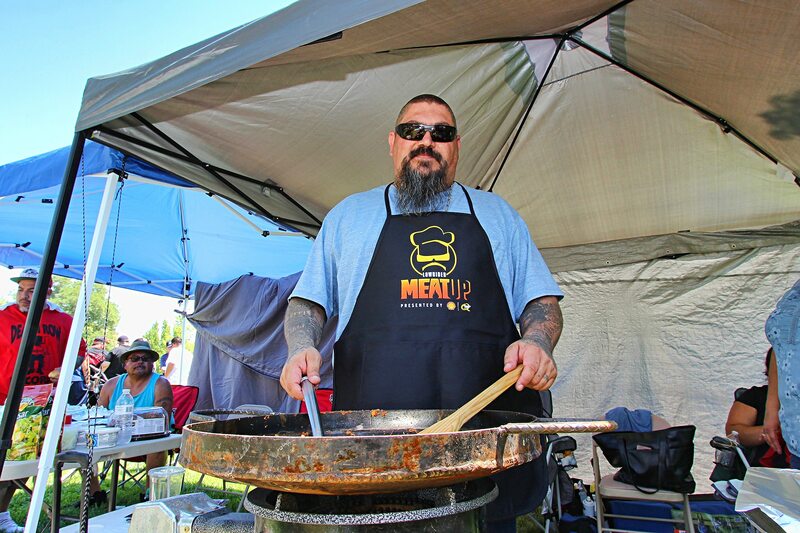 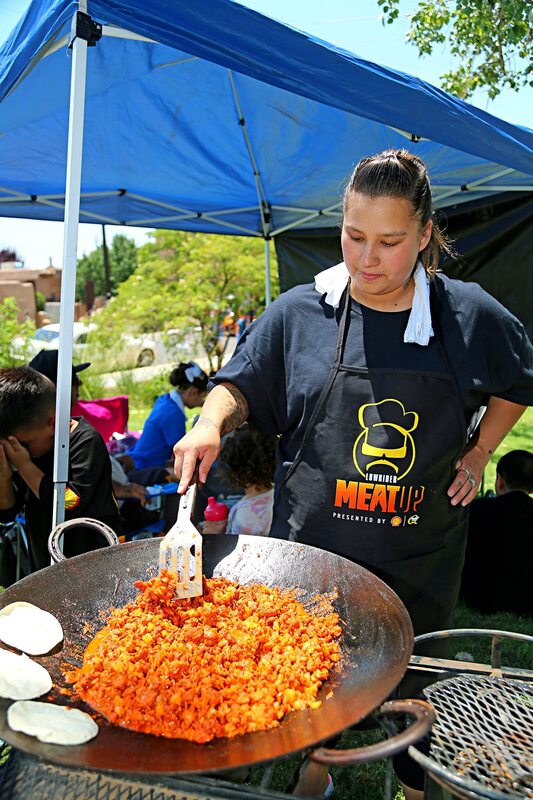 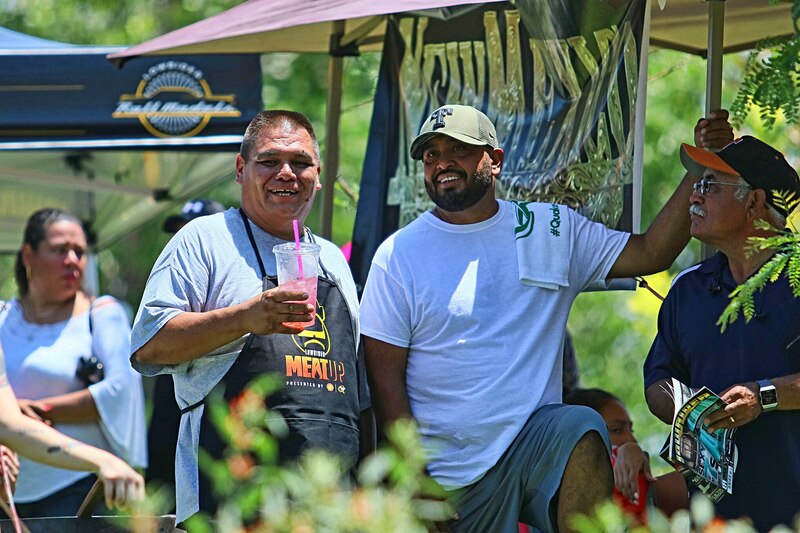 This is our heritage and the Meat Up events were designed to deliver just that,” Joe Ray says. 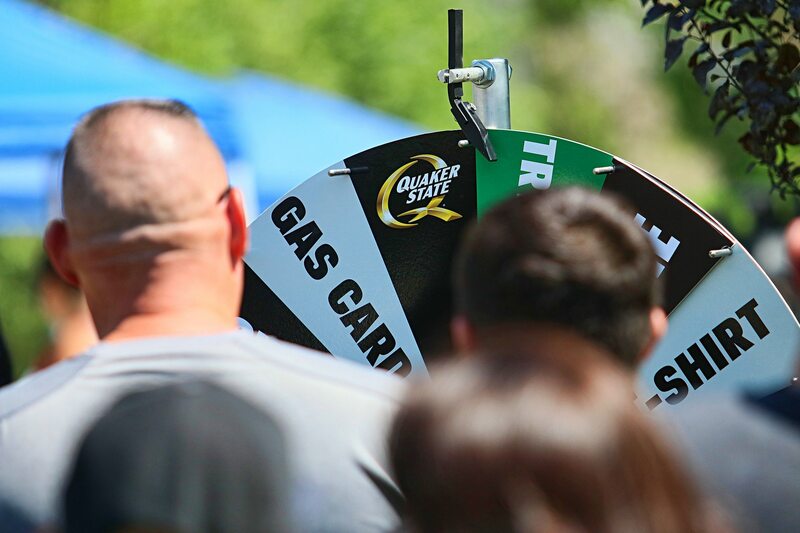 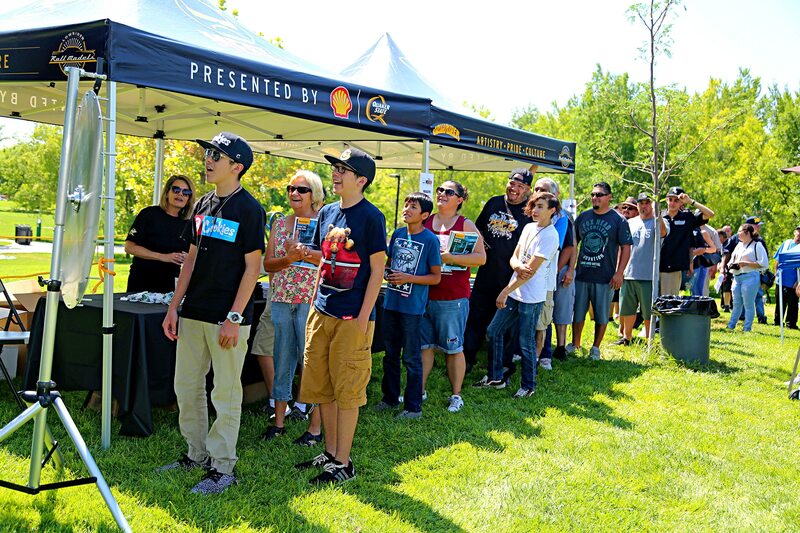 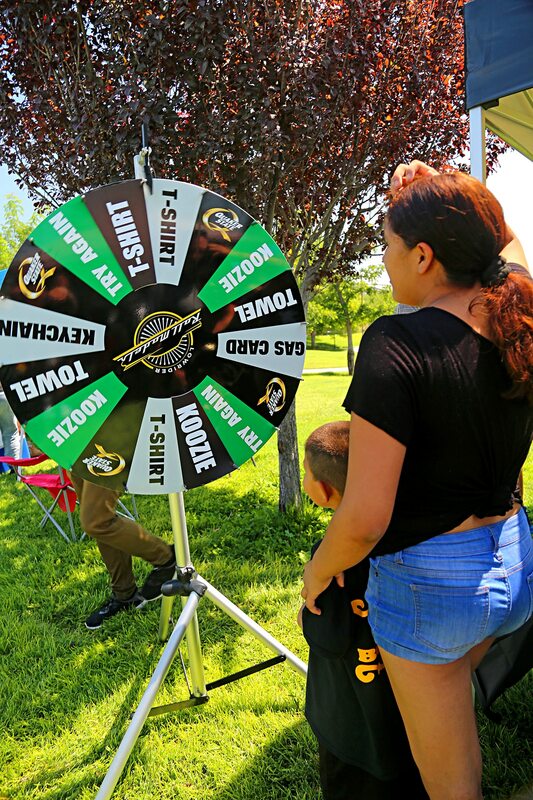 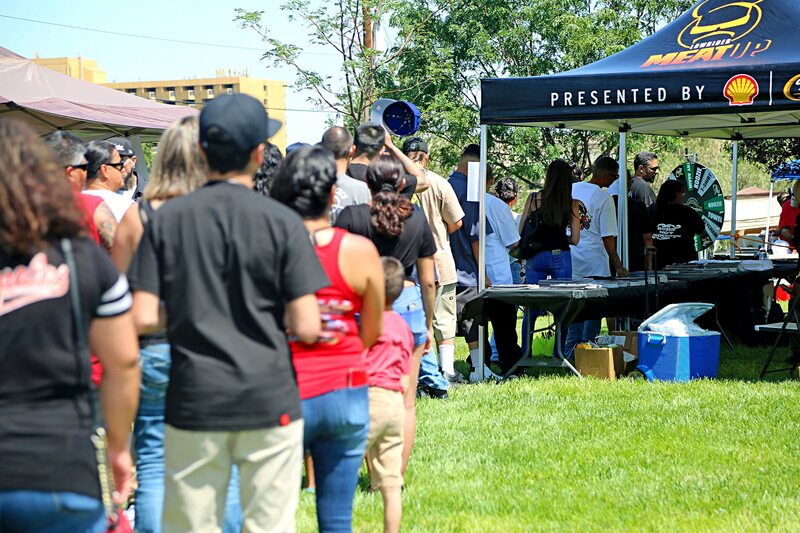 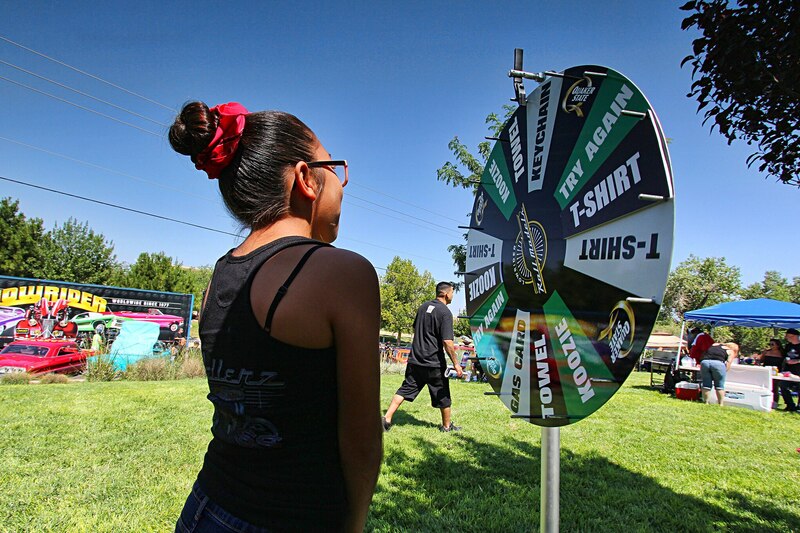 As with all of our Meat Up events, the Quaker State “Spin The Wheel” attraction had people lined up for a chance to win prizes ranging from gas cards to tees. 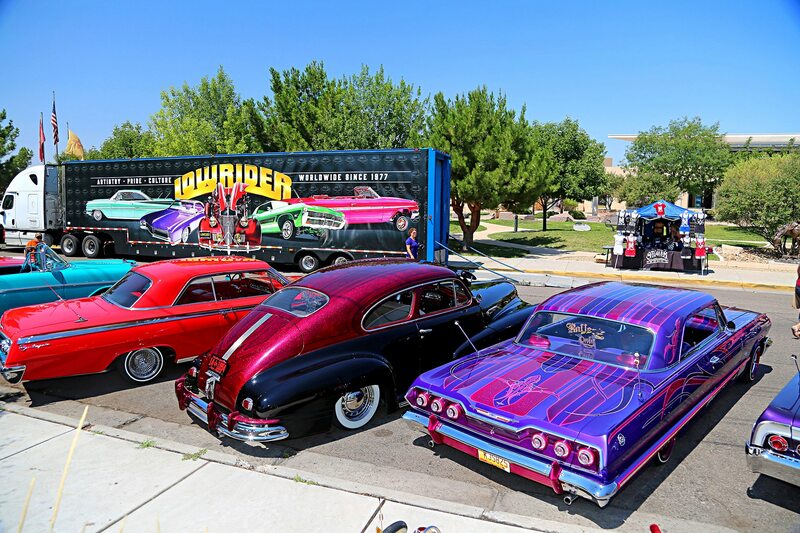 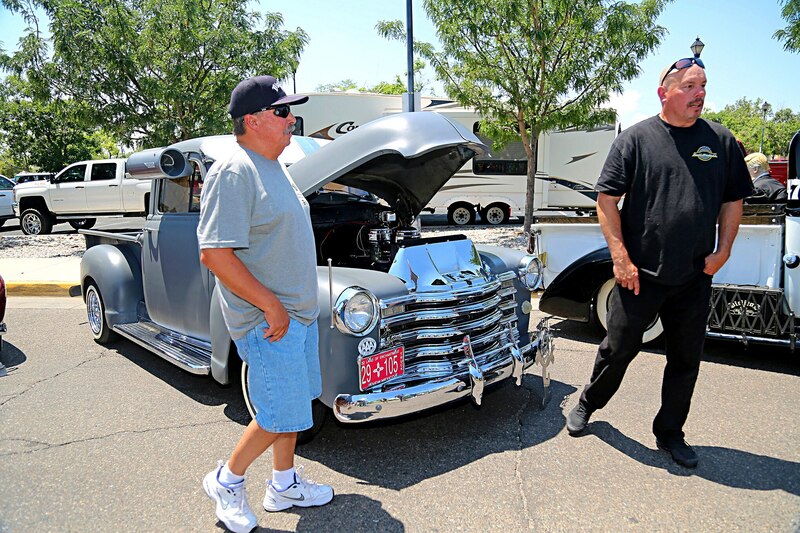 As we made our way through the cars, we spotted Low Classics Car Club, whose cars were so clean and dialed in that you’d almost forget that they drove some three hours away from Farmington, New Mexico. 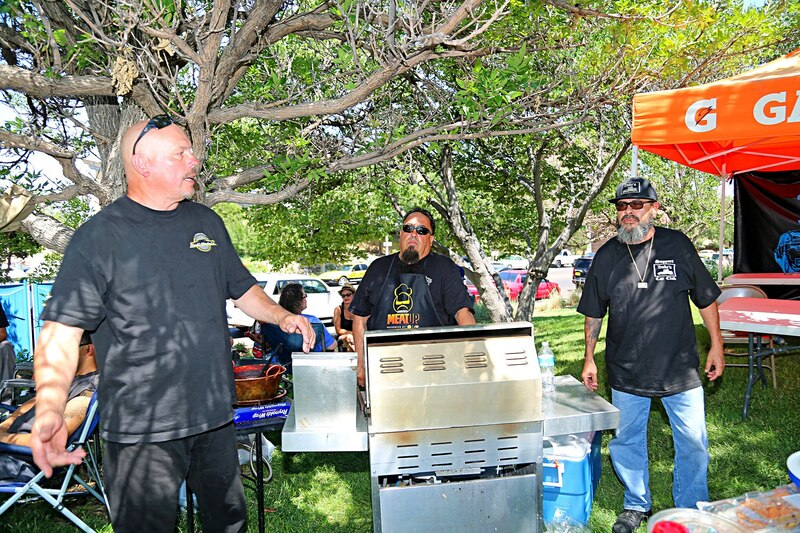 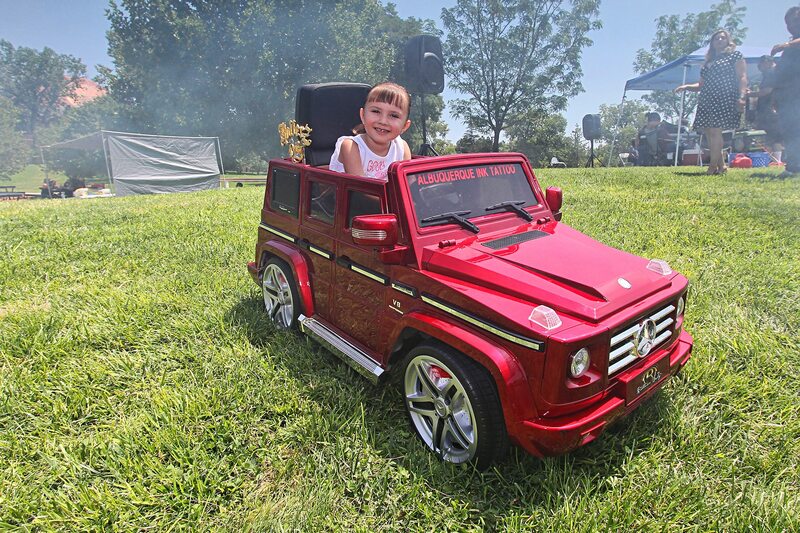 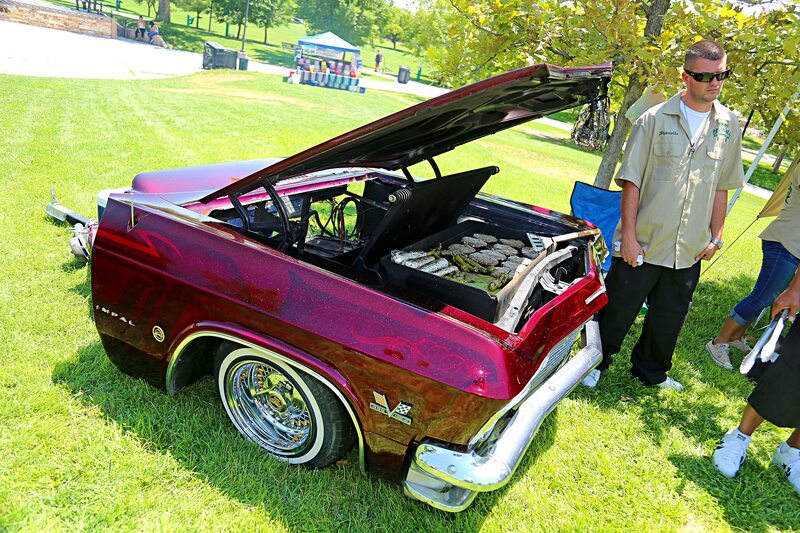 And while their cars were spot-on, their custom barbecue pit is what dreams are made of. 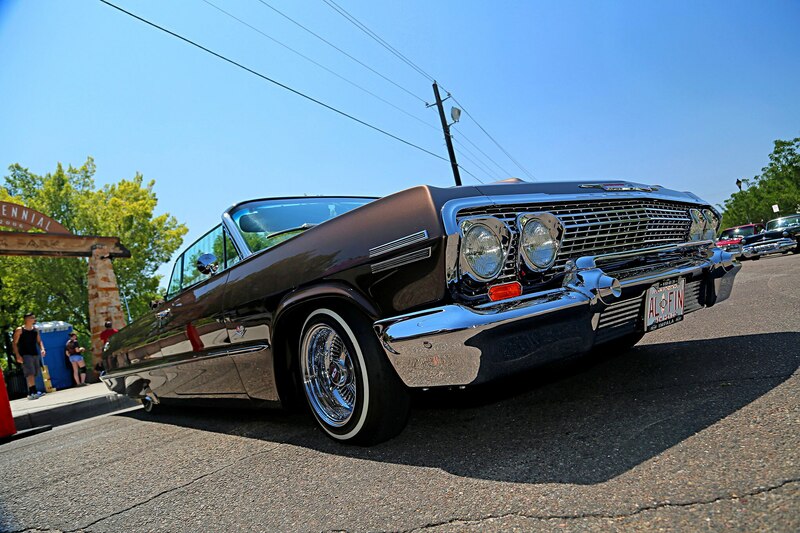 Encased in a 1965 front end, the grill featured wire wheels, candy paint, hydraulics, and enough blazing meat to feed a small army. 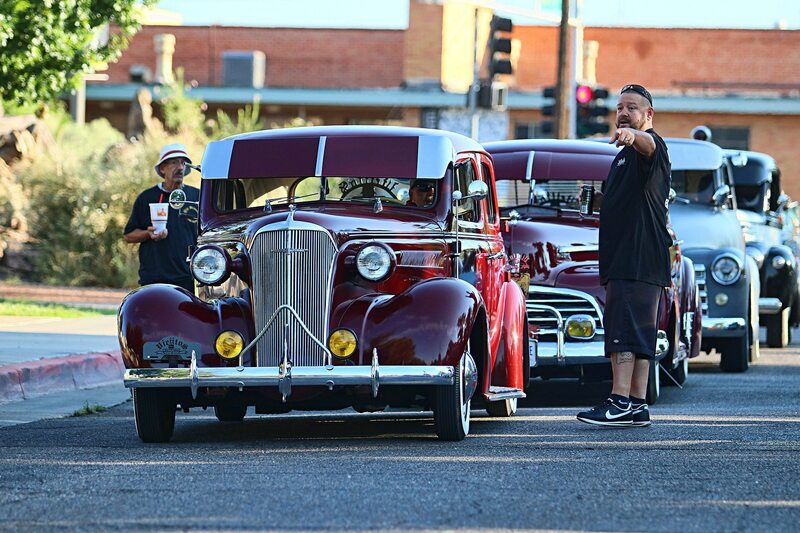 As the day went on, we shadowed Joe Ray as he walked and talked the show. 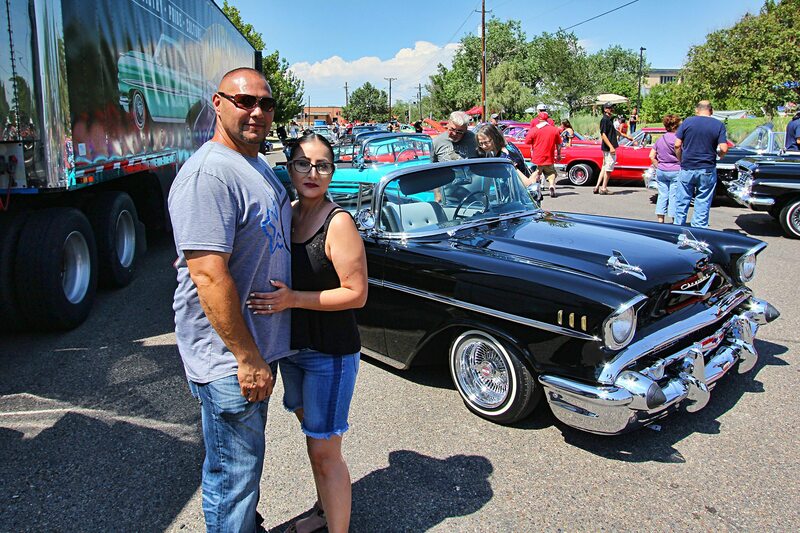 He was eager to learn about all the different clubs’ histories, take a good look at their cars, all the while sampling all the food they had to offer. 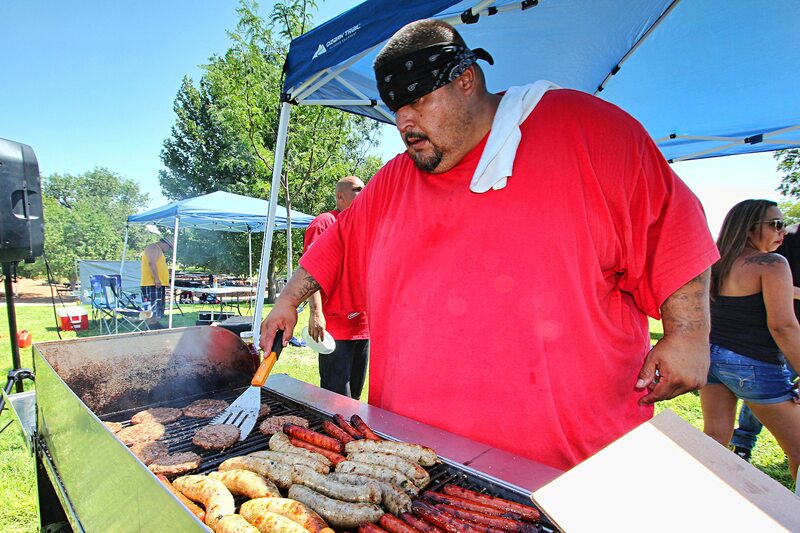 Now, if you understand how our lifestyle gets down, then you’re already well aware that we know how to chill and grill. 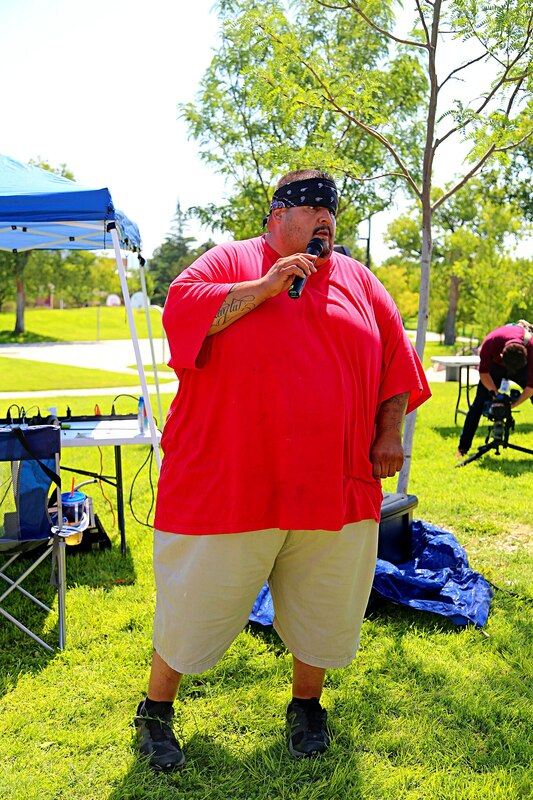 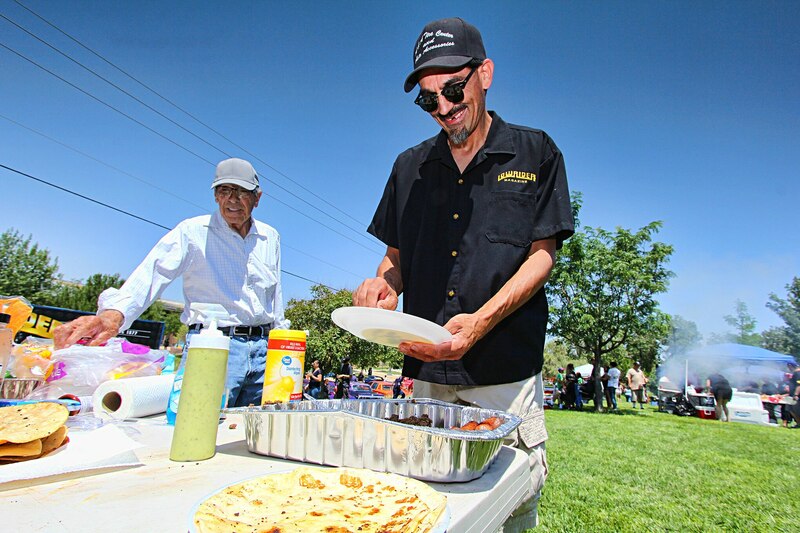 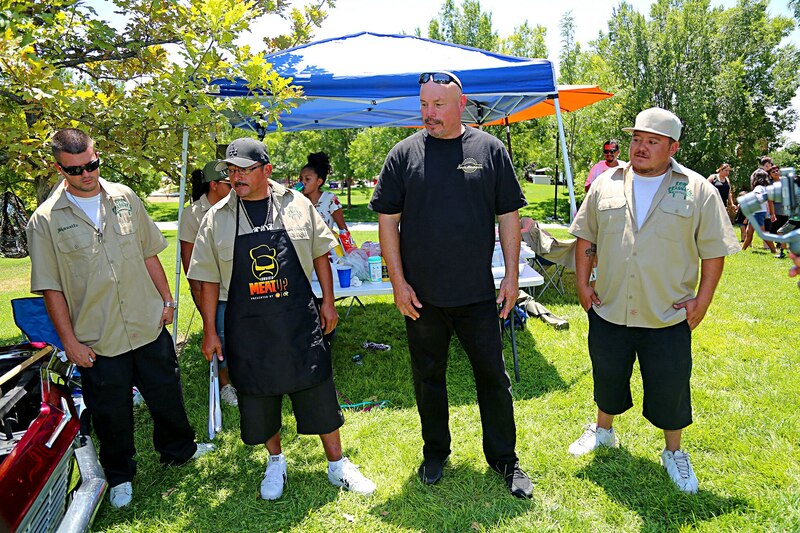 But among the highlights was Dignity Car Club who dished out pastor tacos, and Rollerz Only where big homie House rolled out a combination of special recipes that were perfectly marinated with his secret herbs and spices. 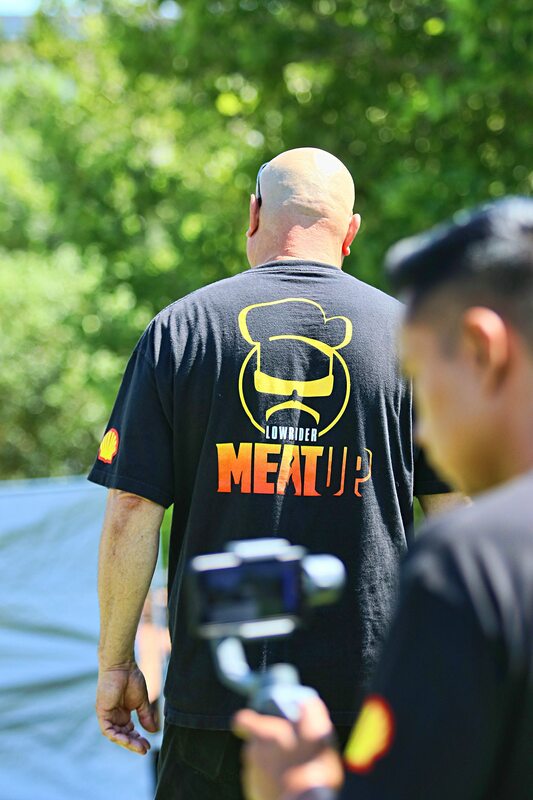 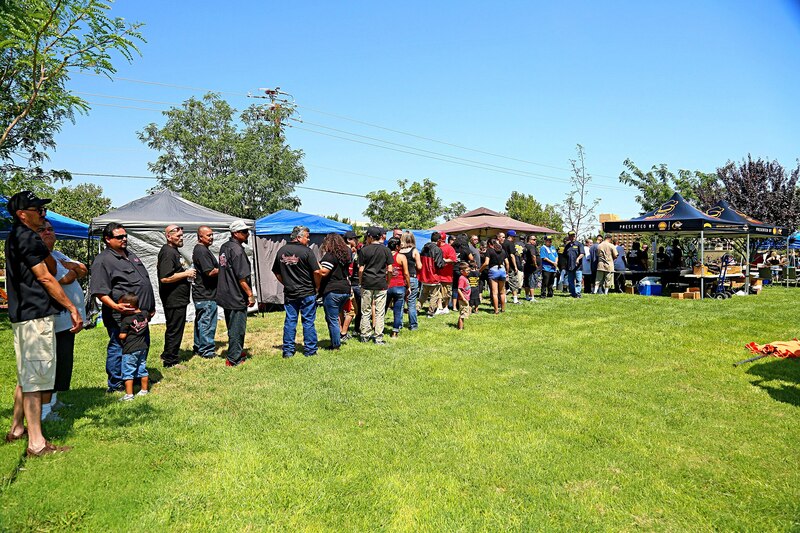 In all, this was yet another successful Meat Up and we would like to thank all those who participated. 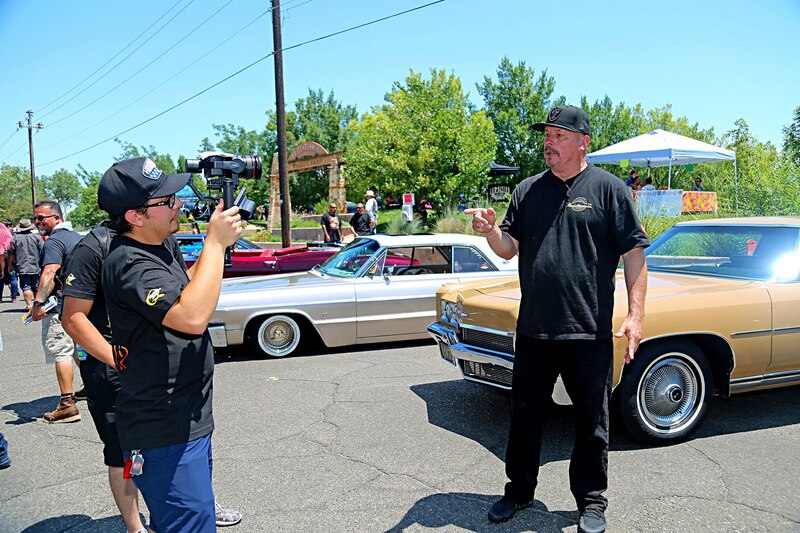 Of course, none of these festivities could have been possible without the support of Quaker State and Artemis Productions, so a special thanks goes out to them for helping create lasting impressions that support our culture and heritage.